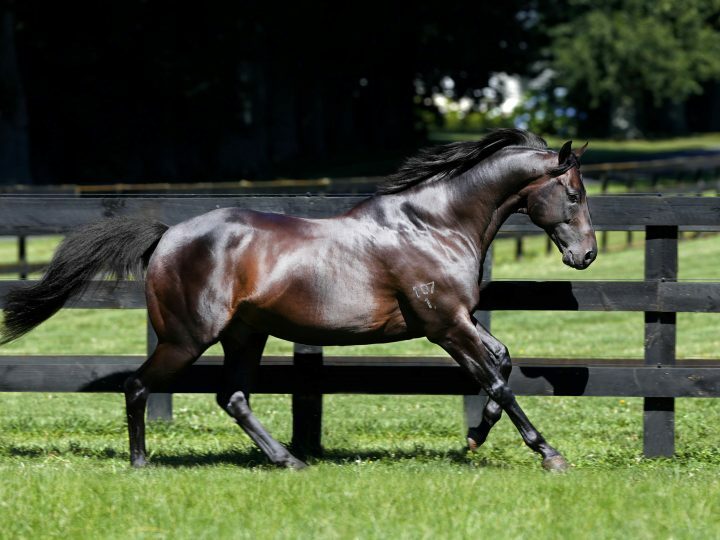 Going from strength to strength with a succession of new Group horses in the 2018-19 season, champion sire Savabeel was awarded his fourth straight New Zealand Sires’ Premiership, his third consecutive Dewar Award (combined Australian and New Zealand progeny earnings) and third Centaine Award (combined progeny earnings worldwide) last season and is well on his way to emulating this feat. 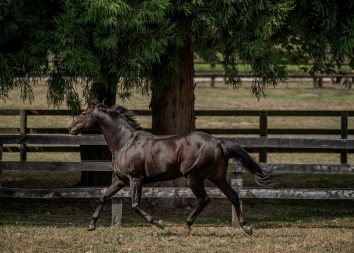 Savabeel has proved himself to be one of the most versatile stallions in Australasia with Group One winners at two years over 1200 metres, three years over 1600 – 2400 metres and older horses who have been successful at the highest level over a variety of distances. Nicoletta, Sword of Osman, Embellish, Hasahalo, Savvy Coup, Shillelagh and Kawi recently achieved those feats respectively to take Savabeel’s number of Group One winners to 18. 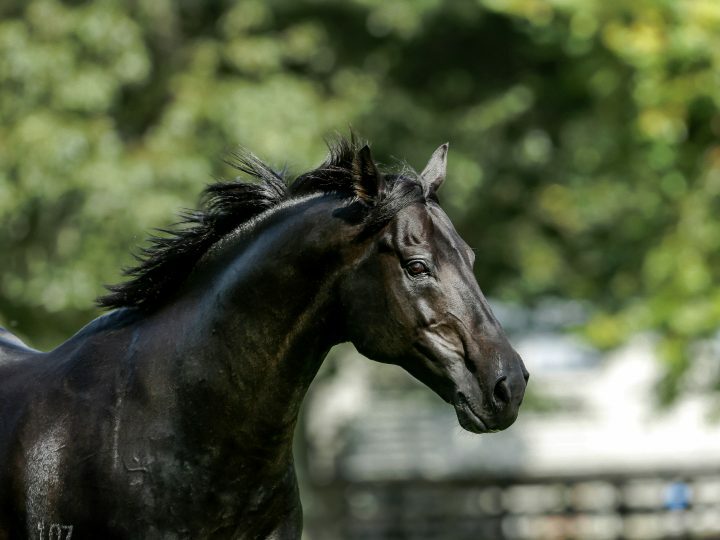 Savabeel has notched up a total of 89 Stakes winners to date and recent success includes siring the New Zealand Group One Guineas double with Embellish and Hasahalo and his daughter Savvy Coup won the Group One New Zealand Oaks last season, resulting in Savabeel siring the winners of three of the four main New Zealand Group One Classic races. 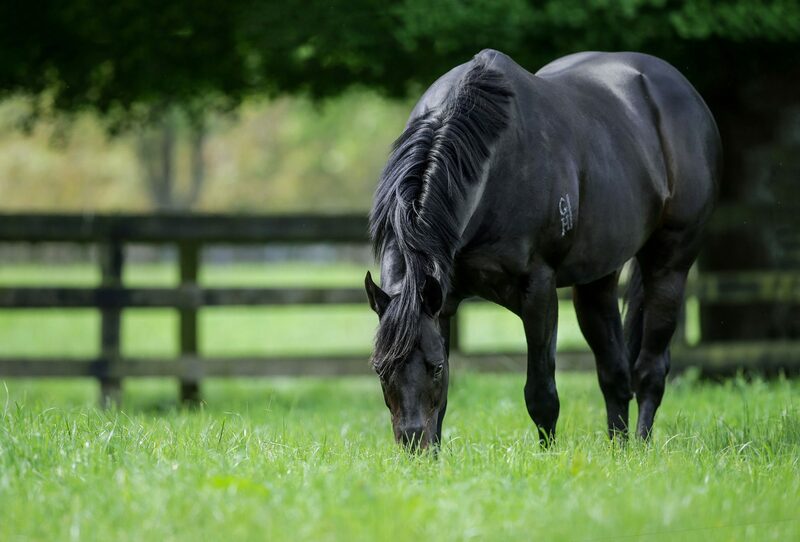 Over the course of the past year, Savabeel sired 19 individual Stakes winners including Group One winners Nicoletta, Savvy Coup, Sword of Osman and Shillelagh as well as Group winners The Chosen One, Concert Hall, Supera, Prince Jabeel, Rattan, Queen of Diamonds, Love Affair, Preditor and Aotea Lad plus Listed winners Elate, Probabeel, Kaonic, Exuberant, Santa Catarina and Peaceful. 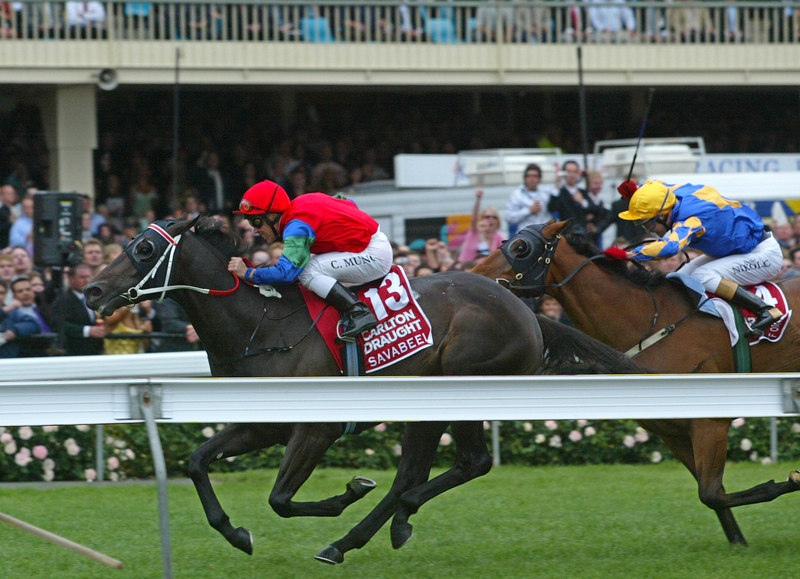 Savabeel’s class as a racehorse was evident when he defeated 9 Group One winners in taking out the 2004 W.S. Cox Plate and that level of achievement has followed through to both the yearling sales ring and progeny record on the racecourse. His success shows he is the heir apparent to his own Champion Sire Zabeel who in turn was the heir apparent to Sir Tristram before him. 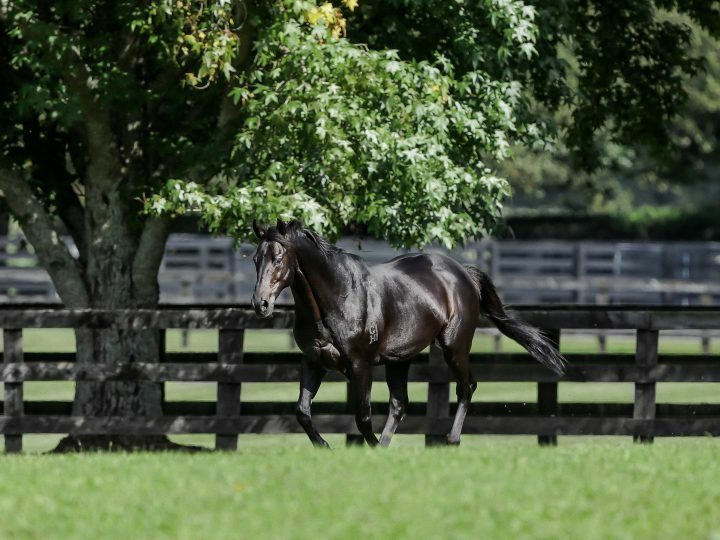 And like his sire and grandsire, his progeny display the toughness and durability to win over all distances, at all ages from two years to eight years and, incredibly, Savabeel has passed Zabeel for the number of Stakes winners sired at the same stage of their careers. 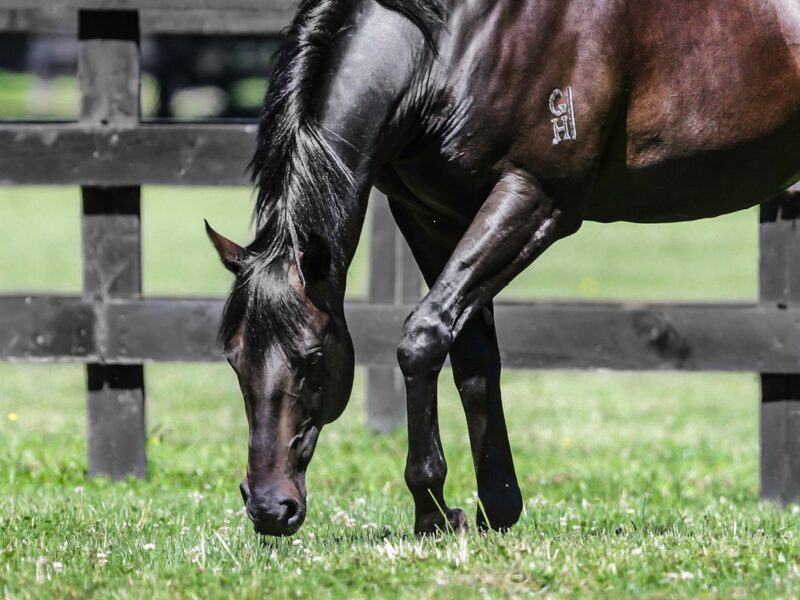 With recent successes, Savabeel is now achieving a Stakes winners-to-runners ratio above 10 per cent (10.8%) and has thus become only the second sire currently standing in Australasia to reach that level of excellence. 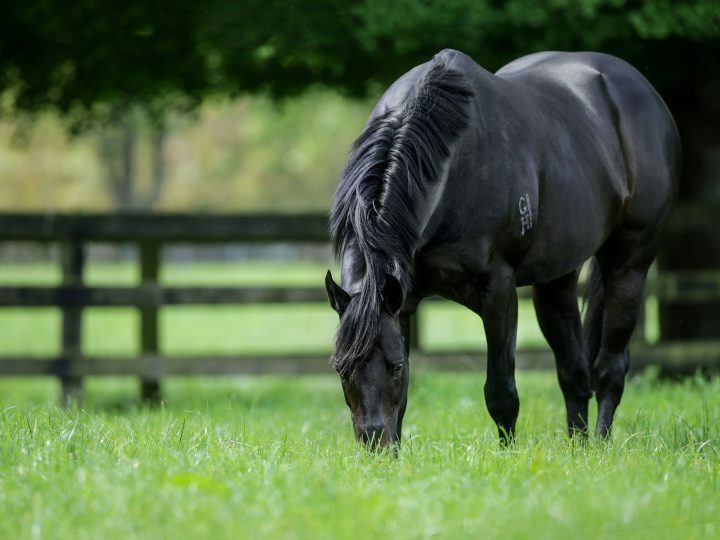 Savabeel also boasts an enviable winners-from-runners ratio that exceeds 70 per cent. 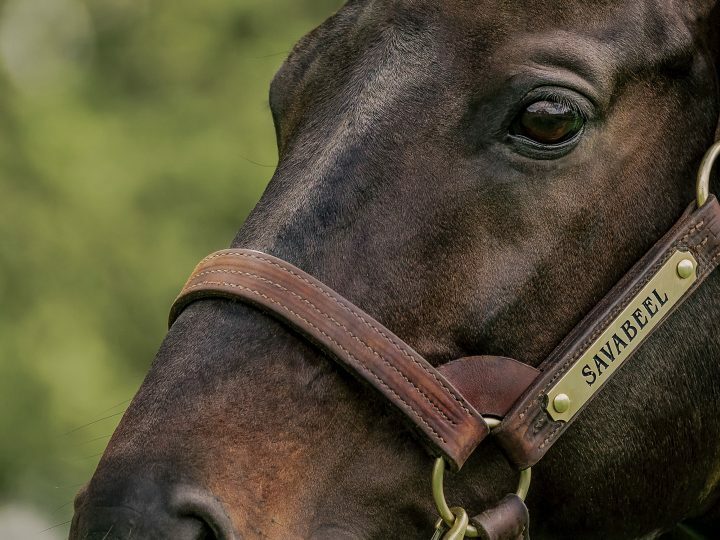 For the fifth consecutive year, Savabeel was crowned Leading New Zealand based sire at the Karaka Yearling Sale and the 2019 Australasian sales series have seen 54 Savabeel yearlings sell for an average of $295,833 with 7 bringing $500,000 or more – testimony to the type and correctness and an acknowledgment of the progeny success. 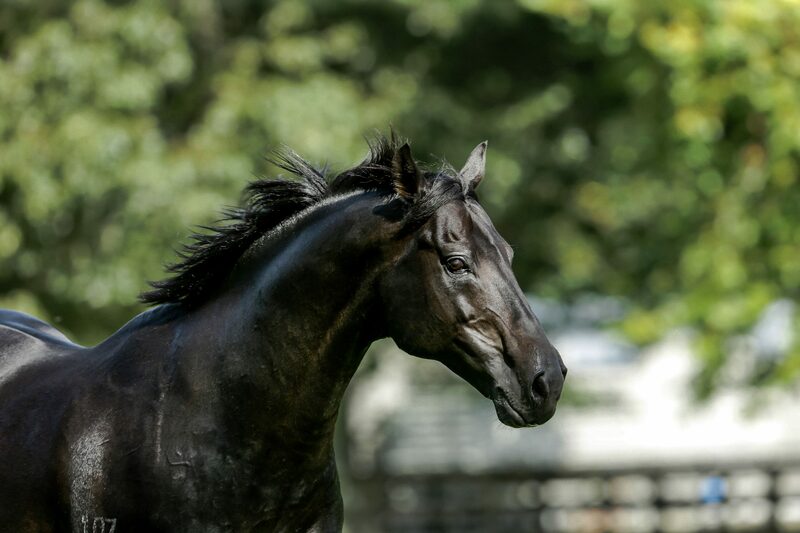 Leading buyers have paid up to $1,400,000 to secure yearlings by Savabeel and the demand to purchase his older progeny at the Hong Kong International Sale has also been strong with his three-year-olds selling for up to $770,000. Similarly, his daughters have been highly sought after with Diademe selling for $1.7 million at the 2018 Magic Millions Broodmare Sale and Nurse Kitchen and Soriano fetched $1.7 million and $1.15 million respectively at last year’s Magic Millions Broodmare Sale. 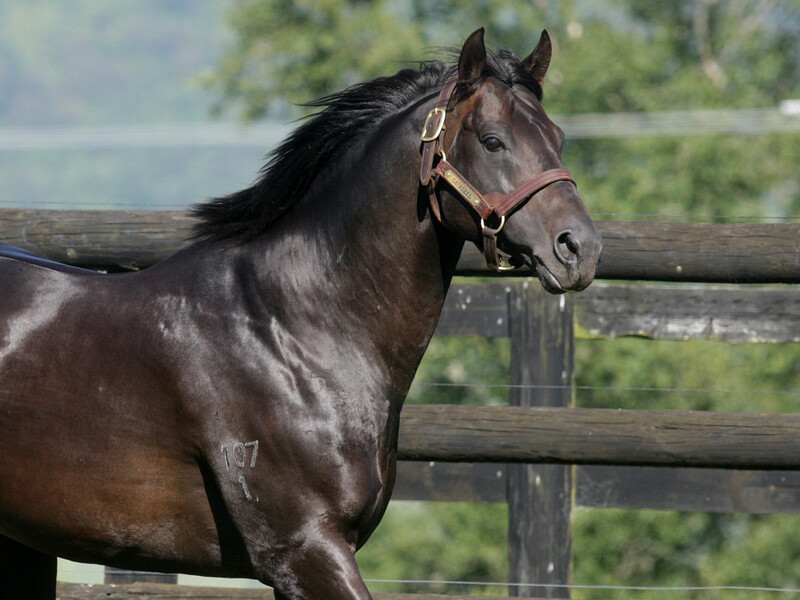 SAVABEEL (c. by Zabeel). Subject horse. Arlington (c. by Red Ransom). 5 wins from 1100m to 1800m, NZ$74,475, A$289,075, AJC Thakral Holdings H., Hula Chief H., WRC Douro Cup, STC Nivea Visage P., BOP RC Downer Edi Works H., 2d BOP RC Japan-New Zealand International Trophy, Gr.2, AJC Fernhill H., L, STC Wine Society 2YO H., ATC K Callander Fellowship H., STC Caravan & Camping H., Lolliland H., 3d AJC Randwick Guineas, Gr.1, BOP RC Tauranga S., Gr.3, AJC Canonbury S., L, STC Darby Munro H., L, ARC Classic Hits H., Hawkes Bay Towkay Hong Kong Breeders Partnership H., Hawkesbury RC Rowley Mile H., VRC Grazia Trophy H., AJC Liverpool H., Hawkes Bay Waikato Stud Breeders of the Decade H., BOP RC New World Mount Maunganui H., Illawarra TC Kembla Cup. Sire. BLACK HEART BART (Blackfriars). 16 wins from 1000m to 1800m, A$3,995,950, SAJC Goodwood H., Gr.1, MRC Memsie S., Gr.1, Underwood S., Gr.1, CF Orr S., Gr.1, Futurity S., Gr.1, WATC Lee Steere S., Gr.2, Northerly S., Gr.3, MRC Victoria H., Gr.3, WATC Summer Scorcher, L, Cyril Flower S., L, Birthday S., L, Carbine Club of WA S., L, Bunbury S., L, Pinjarra Classic, L, WATC Black Widow H., 2d VRC Newmarket H., Gr.1, Makybe Diva S., Gr.1, ATC All Aged S., Gr.1, BRC Stradbroke H., Gr.1, WATC Railway S., Gr.1, MRC Memsie S., Gr.1, Caulfield S., Gr.1, WATC CB Cox S., Gr.2, MVRC Australia S., Gr.2, WATC Asian Beau S., Gr.3, Challenge S., L, RS Crawford S., L, Westspeed H., Danmar Homes H., 3d VRC Makybe Diva S., Gr.1, MRC PB Lawrence S., Gr.2, WATC Lex Piper S., L, JC Roberts S., L, 4th WATC Railway S., Gr.1, SAJC Goodwood H., Gr.1, WATC RJ Peters S., Gr.3, MRC Bletchingly S., Gr.3. REBEL KING (Universal Ruler). 12 wins-4 at 2-to 1300m, A$871,275, to 2018-19, WATC HG Bolton Sprint H., L, Idyllic Prince S., L, Scenic Blast S., L, Perth Racing Cyril Flower H., L, WATC Westspeed Nursery H.-3 times, Mt Barker TC Mungrup Stud Sprint H., WATC Del Basso Smallgoods Nursery H., St Vincent de Paul Society H., Tabtouch Masters H., Perth Young Membership H., 2d WATC Idyllic Prince S., L, Beaufine S., L, Classic Meats H., Tabtouch With Cash H., Budget Good to Go Sprint H., 3d WATC Summer Scorcher, L, HG Bolton Sprint, L-twice, RS Crawford S., L, Belmont Newmarket H., L, Birthday S., L, Pinjarra Classic, L, WATC Westspeed 2YO P., Carnivale at Crown H., Tabtouch Sprint H., 4th Perth Racing Summer Scorcher H., L, Pinjarra Classic, L.
REBELSON (Snippetson). 8 wins-1 at 2-from 1100m to 1800m, A$541,500, WATC Fairetha S., L, Aquanita S., L, Northam Cup, L, WATC Fergus Maximus H., Farewell & Thank U Nikos H., John McGrath for South Perth H., Westspeed H., 2d WATC Ascot Gold Cup, L, GA Towton Cup, L, York S., L, JC Roberts S., L, St Leger, L, Tabtouch Home of Racing & Sport H., Tabtouch Racing & Sport H., Lunar Raceday H., Skoota's 30th Birthday H., 3d WATC Ascot Gold Cup, L, Corestaff H., Westspeed H., PR Members H., 4th WATC Melvista S., L.
ZABEEL 7 wins-1 at 2-from 1200m to 2050m, A$1,138,400, VRC Australian Guineas, Gr.1, Craiglee S., Gr.2, MVRC Alister Clark S., Gr.2, Moonee Valley S., Gr.2, VRC Debonair S., L, Van Winkle H., Marabou H., 2d VATC Autumn Classic, Gr.3, 3d VATC Underwood S., Gr.1, STC Rosehill Guineas, Gr.1, Canterbury S., Gr.2, VATC Kambrook Quality S., 4th VATC Caulfield Guineas, Gr.1. He entered stud in 1991. Champion Aust. Sire twice. Champion NZ Sire 4 times. Champion Aust. Sire (AEI) twice. 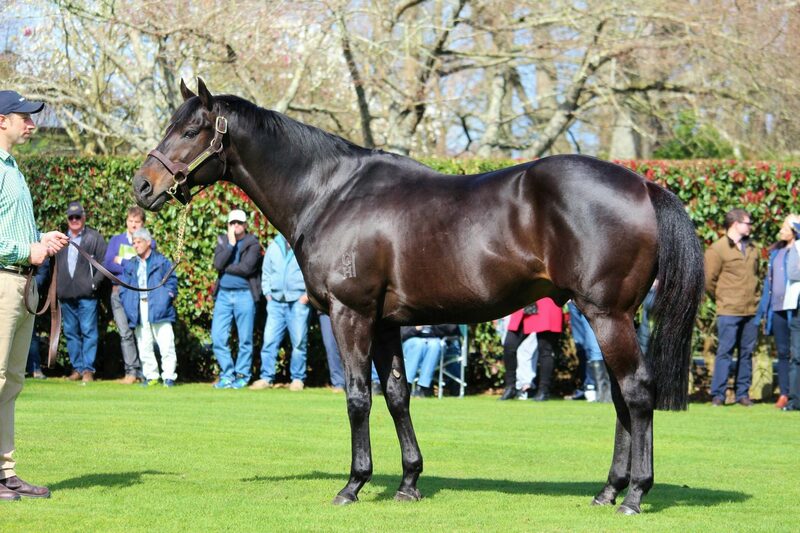 Champion NZ Sire (Aust. & NZ figures combined) 15 times. Champion Broodmare Sire in Aust. in 2011-12, 2012-13, 2013-14, second in 2015-16, 2016-17. Champion Broodmare Sire in NZ in 2011-12, 2012-13, 2013-14, 2015-16, 2017-18, second in 2016-17. 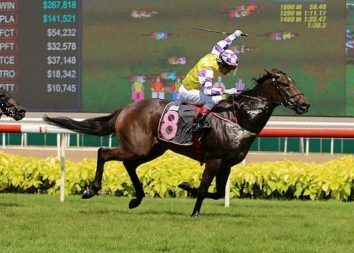 Champion Broodmares Sire in Singapore in 2017 & 2018. 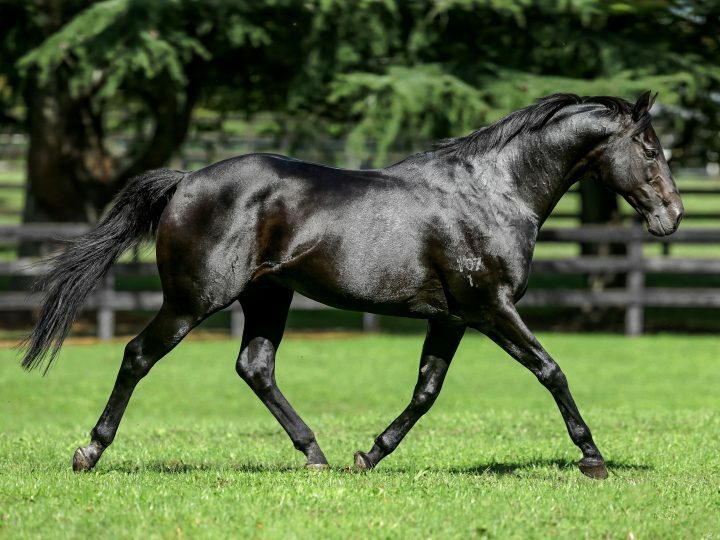 Sire of 1525 progeny to race, 1111 winners (72.0%), earnings of over $193 million, 166 stakes winners, 95 stakes placegetters, inc.
OCTAGONAL (92c, Pieces of Eight, Klairon). 1996 Aust. Horse of the Year.14 wins-3 at 2-from 1100m to 2400m, A$5,892,231, VRC Australian Cup, Gr.1, Australian Derby, Gr.1, MVRC WS Cox P., Gr.1, STC Mercedes Classic, Gr.1-twice, AJC Sires' Produce S., Gr.1, Chipping Norton S., Gr.1, STC Rosehill Guineas, Gr.1, 2000m-in track record time, Canterbury Guineas, Gr.1, VATC Underwood S., Gr.1, STC Todman Slipper Trial S., Gr.2, AJC Stan Fox S., Gr.3, STC Heritage S., L, Leopardstown 2YO H., 2d Victoria Derby, Gr.1, STC Golden Slipper S., Gr.1, AJC Queen Elizabeth S., Gr.1, Champagne S., Gr.1, Hobartville S., Gr.2, Apollo S., Gr.2, NSW Tatt's RC Roman Consul S., Gr.3, 3d VATC Caulfield Guineas, Gr.1, 4th VATC Caulfield S., Gr.1. MIGHT AND POWER (93g, Day is Done, So Blessed). Twice Aust. Horse of the Year. Twice Champion older horse in Australasia. Champion International Older horse (Extended).15 wins-1 at 2-from 1200m to 3200m, A$5,220,890, VRC Melbourne Cup, Gr.1, MVRC WS Cox P., Gr.1, 2050m-in track record time, VATC Caulfield Cup, Gr.1, STC Mercedes Classic, Gr.1, AJC Queen Elizabeth S., Gr.1, VATC Yalumba S., Gr.1, BTC Doomben Cup, Gr.1, VRC Queen Elizabeth S., Gr.2, NSW Tatt's RC Chelmsford S., Gr.2, GCTC AD Hollindale Cup, Gr.2, AJC Frank Packer P., Gr.3, Show County H., L, FC Griffiths 2YO H., STC Cathay Pacific H., Hockeyroos H., 2d STC Canterbury Guineas, Gr.1, Ranvet S., Gr.1, VATC St George S., Gr.2, STC Shannon H., Gr.3, NSW Tatt's RC Tramway H., Gr.3, AJC Captain Cook H., STC GJC Moore H., 3d VATC CF Orr S., Gr.1, 4th Australian Derby, Gr.1, AJC Warwick S., Gr.2. SKY HEIGHTS (95g, Engagement, Amalgam). Joint Head of The 1998-99 Australasian 3YO Classification. 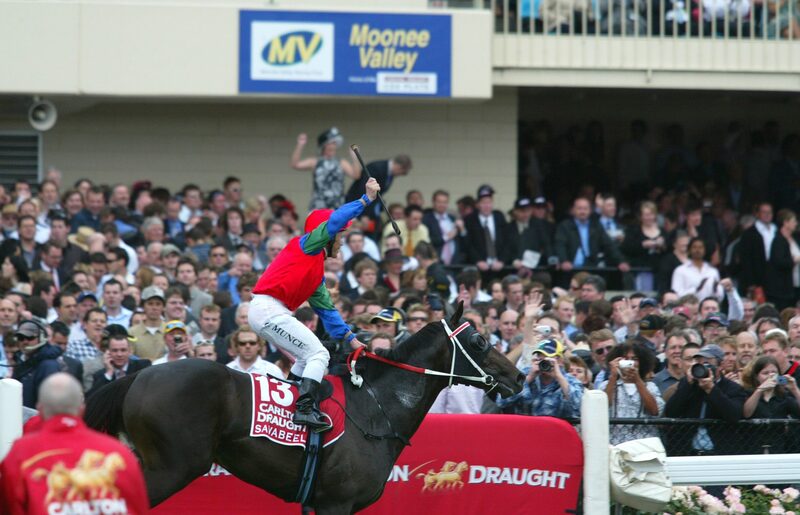 Champion 3YO Miler in Australia in 1998-99.11 wins from 1400m to 2600m, A$4,212,990, Australian Derby, Gr.1, VATC Caulfield Cup, Gr.1, STC Rosehill Guineas, Gr.1, VATC Yalumba S., Gr.1, VRC Craiglee S., Gr.2, Turnbull S., Gr.2, AJC St Leger, Gr.2, VATC Sandown Classic, Gr.2, BTC Labour Day Cup, Gr.3, VRC Flag Choice Hotels H., VATC JG Heywood H., 2d Victoria Derby, Gr.1, VATC Caulfield Cup, Gr.1, Underwood S., Gr.1, JJ Liston S., Gr.2, Norman Robinson S., Gr.3, Schweppes Cup, L, 3d MVRC WS Cox P., Gr.1, AJC Queen Elizabeth S., Gr.1, 4th VRC Australian Guineas, Gr.1. PREFERMENT (11c, Flying Spur, Canny Lad). Champion Stayer in Australia in 2015-16.5 wins from 2000m to 2500m, A$3,432,730, ATC BMW S., Gr.1, Victoria Derby, Gr.1, VRC Australian Cup, Gr.1, Turnbull S., Gr.1, ATC Hill S., Gr.2, 2d ATC Rosehill Guineas, Gr.1, Geelong Classic, L, ATC More Than Ready P., Testa Rossa at Vinery H., 3d MRC Grand Hotel Frankston 2YO H., 4th ATC Chipping Norton S., Gr.1, VRC Turnbull S., Gr.1, NSW Tatt's RC Chelmsford S., Gr.2, BRC PJ O'Shea S., Gr.2, GCTC AD Hollindale S., Gr.2. SUBSCRIBE - VENGEANCE OF RAIN (H.K.) (00g, Danehill, Semipalatinsk). Horse of the Year in Hong Kong in 2006-07. Champion Stayer in Hong Kong 2004-05 & 2006-07 & in UAE in 2006-07.10 wins-1 at 2-from 1200m to 2400m, A$64,000, HK$46,965,500, 11,040,000Dhs, HKJC Audemars Piguet Queen Elizabeth II Cup, Gr.1, Cathay Pacific Hong Kong Cup, Gr.1, Nad al Sheba Dubai Sheema Classic S., Gr.1, MRC Chairman's S., L, HKJC Cathay Pacific International Cup Trial, L, Centenary Vase, L, Mercedes-Benz Hong Kong Derby, L, Hong Kong Gold Cup, L, Hong Kong Champions & Chater Cup, L, Fairy King Prawn H., 2d HKJC Audemars Piguet Queen Elizabeth II Cup, Gr.1, Hong Kong Champions & Chater Cup, L, Hong Kong Racehorse Owners Association Trophy, 3d Cathay Pacific Hong Kong Cup, Gr.1, VRC Talindert S., L, HKJC Guangzhou H., Sheung Shui H.
MALDIVIAN (02g, Danzig, Wing Out). 9 wins from 1400m to 2050m, A$2,821,800, MVRC WS Cox P., Gr.1, MRC CF Orr S., Gr.1, Yalumba S., Gr.1, Easter Cup, Gr.3, MVRC JRA Cup, L, VRC Fat Quaddies H., MVRC Marsh Pty Ltd H., MRC Marvel Loch H., 2d MRC Memsie S., Gr.2, MVRC Norman Carlyon S., Gr.2, MRC Naturalism S., L, Craig Petersen H., SAJC Old Grey Mares H., 3d MRC JJ Liston S., Gr.2-twice, VRC Antler Luggage H., SAJC Tippetycricket.com H., 4th VRC Turnbull S., Gr.1, MRC Underwood S., Gr.1-twice, VRC Makybe Diva S., Gr.2, MVRC Dato' Tan Chin Nam S., Gr.2. MOUAWAD (93c, Pieces of Eight, Klairon). Head of The 1996-97 Australasian 3YO Classification.7 wins from 1200m to 1600m, A$775,456, VRC Australian Guineas, Gr.1, STC George Ryder S., Gr.1, VATC Futurity S., Gr.1, VRC Debonair S., L, Moet & Chandon S., L, STC Global Self Storage H., Marrickville Bowling Club H.
EFFICIENT (03g, Defensive Play, Jig Time). 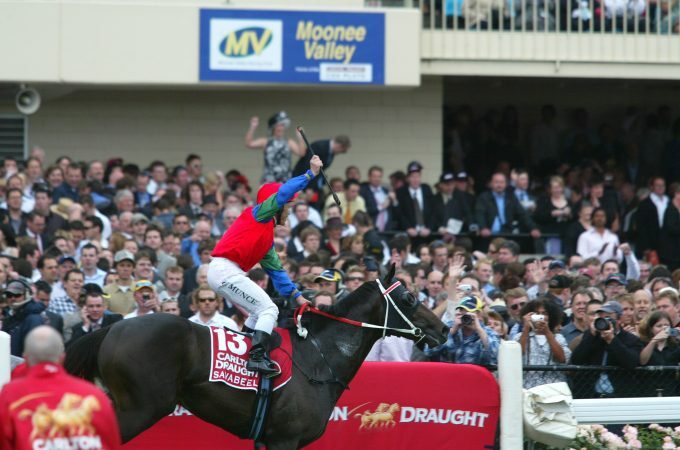 Champion stayer in Australia in 2007-08.7 wins from 1400m to 3200m, A$4,788,525, VRC Melbourne Cup, Gr.1, Victoria Derby, Gr.1, Turnbull S., Gr.1, MVRC AAMI Vase, Gr.2, MRC Lord Dudley H., Pura Light Start P., 2d ATC Sydney Cup, Gr.1, 4th MVRC Dato' Tan Chin Nam S., Gr.2, MRC Schweppervescence Cup, Gr.3. GREYS INN (00c, Christmas Tree, Crowned Prince). Champion 3YO Classic Colt in South Africa in 2003-04.6 wins from 1200m to 2450m, A$18,000, R1,797,200, HK$3,000,000, 655,200Dhs, Greyville Durban July H., Gr.1, South African Derby, Gr.1, South African Classic, Gr.1, Nad al Sheba Dubai City of Gold S., Gr.3, 2d HKJC Audemars Piguet Queen Elizabeth II Cup, Gr.1, Nad al Sheba Al Rashidiya S., L, 3d Greyville Daily News Two Thousand S., Gr.1, 4th MRC Yalumba S., Gr.1, Nad al Sheba Dubai Sheema Classic S., Gr.1, Al Fahidi Fort S., L.
ZAVITE (02g, Alleged, Green Dancer). 11 wins from 2000m to 3200m, NZ$600,000, A$1,926,750, Auckland Cup, Gr.1, ATC Ranvet S., Gr.1, SAJC Adelaide Cup, Gr.2, VRC Queen Elizabeth S., Gr.3, TTC Launceston Cup, Gr.3, AJC Australia Day Cup, L, STC WJ McKell Cup, L, MVRC Moonee Valley Night Cup, VRC Better Boy H., 2d STC BMW S., Gr.1, MRC Herbert Power S., Gr.2, TRC Hobart Cup, Gr.3, Geelong Cup, Gr.3, MVRC Agar Cleaning Systems H., 3d VRC Bart Cummings H., L, STC Frank Underwood Cup, L, PJ Gallagher's Irish Pub H., 4th MRC Underwood S., Gr.1, Herbert Power S., Gr.2-twice, VRC Queen Elizabeth S., Gr.3, AJC Australia Day Cup, L, NSW Tatt's RC Tattersalls Club Cup, L.
CHAMPAGNE (94f, L'Enjoleur, Tom Rolfe). Champion WFA performer in NZ in 1999.7 wins from 1400m to 2050m, NZ$53,350, A$1,864,930, VRC LKS Mackinnon S., Gr.1, STC Ansett Australia S., Gr.1, ARC Ladies Mile, Gr.3, Manawatu RC Eulogy S., Gr.3, VATC Angus Armanasco S., Gr.3, Moonee Valley Oaks, L, 2d VRC Melbourne Cup, Gr.1, AJC Australian Oaks, Gr.1, Queen Elizabeth S., Gr.1, ARC Royal S., Gr.3, 3d VRC AV Kewney S., Gr.2, STC Shannon H., Gr.3. ST REIMS (99c, L'Enjoleur, Tom Rolfe). Champion Older Male in NZ in 2004-05 (Int.). 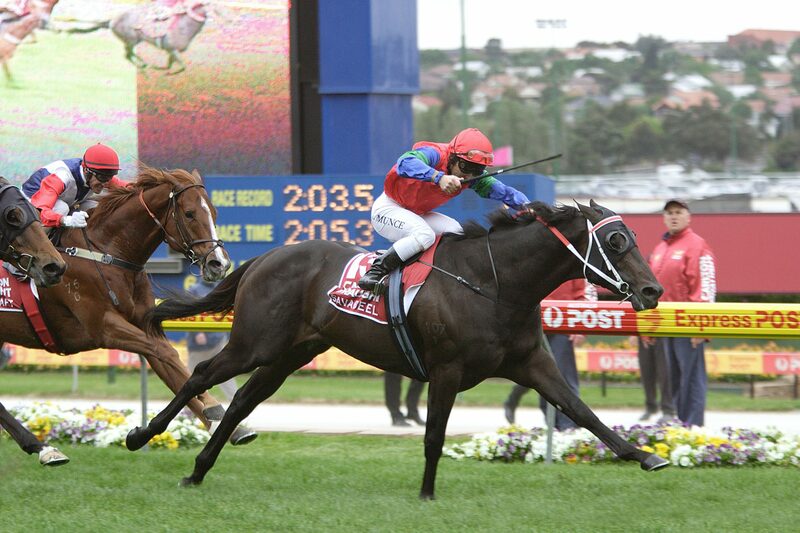 Joint Champion WFA Performer in NZ in 2004-05.11 wins from 1600m to 2400m, NZ$673,250, ARC Zabeel Classic, Gr.1, New Zealand Derby, Gr.1, Avondale Guineas, Gr.2, Counties Cup, Gr.2, ARC Lindauer Grandeur S., Gr.3, Hawkes Bay Braxton Car Lights H.-twice, Clive Hotel H., ARC Golf Today 3YO H., Hawkes Bay Cellacc H., 2d ARC New Zealand S., Gr.1, Waikato Gold Cup, Gr.2, ARC Lindauer Grandeur S., Gr.3, Great Northern Challenge S., L, Hawkes Bay Rob McAnulty H., 4th Waikato RC Foxbridge P., L.
FIUMICINO (03g, Maroof, Three Legs). 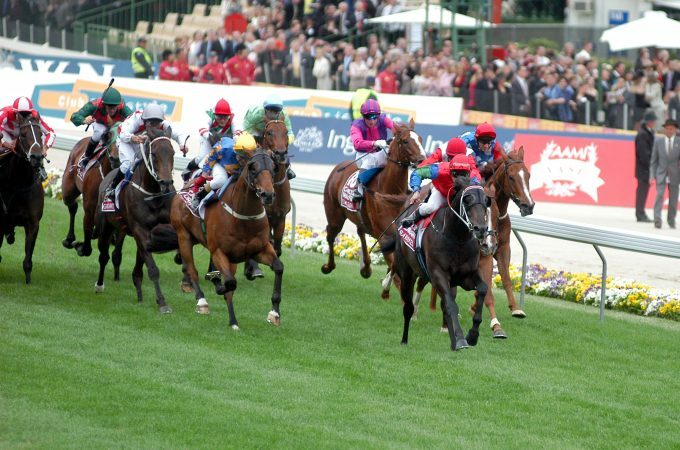 Top of the 2006-07 Australasian 3YO Classification (long).7 wins from 1600m to 2400m, A$3,102,035, Australian Derby, Gr.1, STC BMW S., Gr.1, Hill S., Gr.2, ATC Frank Underwood Cup, L, WJ McKell Cup, L, STC Nivea Visage H., 2d ATC Winter Cup, L, 3d AJC Metropolitan H., Gr.1, STC Rosehill Guineas, Gr.1, AJC Colin Stephen H., Gr.3, ATC Christmas Cup, L, Sky High S., L, Bendigo Cup, L, AJC Balmoral H., 4th AJC Chelmsford S., Gr.2, ATC City Tattersalls Club Cup, L, Randwick City S., L.
DIGNITY DANCER (95g, Haulpak, Amyntor). 6 wins-1 at 2-from 1200m to 2000m, A$1,957,400, AJC Spring Champion S., Gr.1, 2000m-in track record time, VRC Australian Guineas, Gr.1, MVRC Alister Clark S., Gr.2, VATC Autumn Classic, Gr.2, Autumn S., Gr.3, STC Desirable 2YO H., 2d STC Rosehill Guineas, Gr.1, Newcastle JC Spring S., L, 3d AJC TL Baillieu H., L, NSW Tatt's RC Ming Dynasty H., L, 4th Australian Derby, Gr.1, AJC Japan Racing Association P., L.
ZONDA (94g, Light Wind, Sostenuto). Champion Older Male Miler/Intermediate in NZ in 2001-02. Joint Head of The 1997-98 NZ 3YO Free H.7 wins from 1600m to 2400m, NZ$391,500, A$583,000, ARC The Oaks Stud Classic, Gr.1, New Zealand Derby, Gr.1, MVRC Alister Clark S., Gr.2, Avondale Guineas, Gr.2, ARC King's P., Gr.3, Counties RC Bluebird Foods Championship H., 2d VRC Australian Guineas, Gr.1, 3d VATC Autumn Classic, Gr.2, WRC Dixon & Dunlop Ltd H., Lion Brown H.
GREENE STREET (94g, Vice Regal, Beaufort Sea). 12 wins from 1400m to 2200m, NZ$404,975, Avondale Gold Cup, Gr.1, Waikato RC International S., Gr.1, Hawke's Bay Cup, Gr.2, Taranaki Cup, Gr.2, Waikato RC Babich Wines H., Manawatu RC Crombie Lockwood Insurance Brokers H., Counties RC Franklin Long Roofing H., WRC Radio Pacific 711 AM H., Hawkes Bay Add Impact Signs H., 2d ARC New Zealand S., Gr.1, Avondale JC Mondiale Freight Services H., WRC Cup Trial, Marton JC Rangitikei Tavern-TAB H., Otaki Maori RC Wellington Guineas Trial, Waikato RC Diamond & Time Jewellers H., 3d WRC Trentham S., Gr.3, Taranaki Cup, Gr.3, 4th Waikato RC International S., Gr.1, Manawatu RC Awapuni Gold Cup, Gr.2, Hawke's Bay Cup, Gr.2. LIZZIE L'AMOUR (12f, Sadler's Wells, Irish River). 7 wins from 1400m to 2400m to 2017-18, NZ$707,610, A$9,000, ARC New Zealand S., Gr.1, Waikato RC Herbie Dyke S., Gr.1, Cal Isuzu S., Gr.2, Waikato Cup, Gr.3, Topsoil & Sand Supplies H., BOP RC Ixom H., 2d ARC Zabeel Classic, Gr.1-twice, Hawkes Bay Livamol Classic, Gr.1, ARC Westbury Classic, Gr.2, Waikato RC Cal Isuzu S., Gr.2, ARC Alison S., Gr.3, Matamata RC Tonezone H., 3d ARC New Zealand Herald H.
RAILINGS (01g, Palace Music, Bletchingly). 7 wins from 1800m to 2400m, A$3,172,110, MRC Caulfield Cup, Gr.1, AJC Metropolitan H., Gr.1, Colin Stephen H., Gr.3, STC Premier's Cup, L, AJC Staging H., 2d STC BMW S., Gr.1-twice, AJC Randwick City S., Gr.3, STC Kingston Town S., Gr.3, 3d Australian Derby, Gr.1, STC Ranvet S., Gr.1, 4th STC Ranvet Rawson S., Gr.1. JEZABEEL (92f, Vice Regal, Imperialist). Champion Stayer & Older Mare in NZ in 1999.7 wins-2 at 2-from 1200m to 3200m, NZ$287,150, A$1,771,660, Auckland Cup, Gr.1, VRC Melbourne Cup, Gr.1, ARC Champagne S., L, Manawatu RC Carlton Hotel H., ARC Nature Sleep Juvenile H., BOP RC Partymaker Rentals H., 2d VATC Underwood S., Gr.1, Manawatu Cup, Gr.3, Avondale JC Centra Hotel H., 3d VRC Mobiletronics P. H., John Russell Welter H.
BAZELLE (99f, Showdown, Parthia). Champion Older Female Stayer in NZ in 2004-05.7 wins from 1400m to 3200m, NZ$358,450, A$90,200, ARC Zabeel Classic, Gr.1, Auckland Cup, Gr.1, Nathans Memorial H., Dunstan Stayers' Championship Qualifier, Mercedes A-Class Giveaway H., 2d Moonee Valley Gold Cup, Gr.2, 3d MRC 60th Anniversary of the End of WWII H., 4th Cambridge JC Travis S., Gr.2. RESET (00c, Zeditave, Assert). 5 wins from 1400m to 1600m, A$850,000, VRC Australian Guineas, Gr.1, MRC Futurity S., Gr.1, Brian Green H., Moonga H., Deakin H.
ZACHELINE (94f, Avatar, Double Jay). 4 wins from 1600m to 2500m, A$368,290, South Australian Oaks, Gr.1, Queensland Oaks, Gr.1, AJC Minoru H., Jeffrey Brothers Funeral Service H., 2d Geelong RC Oaks Trial S., L, AJC Sunnyside 2YO H., Global Markets H., 4th VRC Oaks, Gr.1, AJC Frank Packer P., Gr.3. SAVABEEL (01c, Success Express, Semipalatinsk). 3 wins-1 at 2-from 1000m to 2050m, A$2,760,460, MVRC WS Cox P., Gr.1, AJC Spring Champion S., Gr.1, Sydney City Lexus 2YO H., 2d Victoria Derby, Gr.1, MRC CF Orr S., Gr.1, STC Gloaming S., Gr.2, 3d AJC Champagne S., Gr.1, 4th AJC San Domenico S., Gr.2. INAFLURY (95f, Zephyr Bay, Bold Flip). 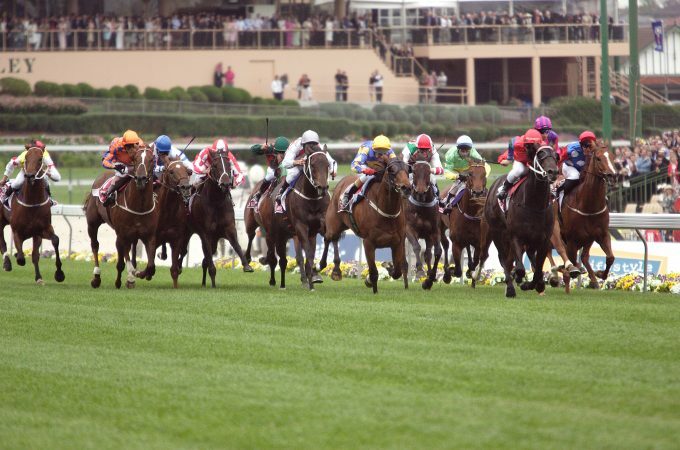 9 wins from 1200m to 2400m, A$1,172,535, VATC One Thousand Guineas, Gr.1, VRC Edward Manifold S., Gr.2, MVRC John F Feehan S., Gr.2, VATC JJ Liston S., Gr.2, GCTC Prime Minister's Cup, Gr.2, VATC Naturalism S., L, STC Neville Sellwood S., L, VATC Western Bulldogs FC H., 2d VATC JJ Liston S., Gr.2, VRC Drumstick Gold P., Gr.3, 3d VATC Caulfield Cup, Gr.1, Underwood S., Gr.1, VRC Turnbull S., Gr.2, Nursery Car Park H.
CRONUS (92g, Bold Venture, Showoff II). 11 wins from 1600m to 3200m, NZ$174,425, A$793,460, HK$140,000, SAJC Adelaide Cup, Gr.1, Manawatu RC Awapuni Gold Cup, Gr.2, Hawke's Bay Cup, Gr.2, GCTC Prime Minister's Cup, Gr.2, BTC Chairman's H., Gr.3, SAJC West End Draught S., Gr.3, ARC Ellerslie Function & Convention Centre H., WRC Capital Development Agency H., Hawkes Bay Davmet H., Taranaki RC Equinet International Welter H., BOP RC Trackside Video Sales H., 2d AJC Queen Elizabeth S., Gr.1, QTC PJ O'Shea S., Gr.2, Moonee Valley Gold Cup, Gr.2, GCTC Prime Minister's Cup, Gr.2, Rotorua Cup, Gr.3, QTC Eagle Farm S., L, Hawkes Bay Fayette Park Stud H., ARC Frank Casey Formal Suit Hire H., Lindauer H., 3d ARC The Oaks Stud Classic, Gr.1, VRC Queen Elizabeth S., Gr.2, Moonee Valley Gold Cup, Gr.2, WRC Trentham S., Gr.3, BTC Chairman's H., Gr.3, 4th ARC New Zealand S., Gr.1. LIGHTS OF HEAVEN (07f, Volksraad, Centaine). 8 wins from 1200m to 2400m, A$1,575,488, SAJC Schweppes Oaks, Gr.1, BRC Eagle Farm Cup, Gr.2, Brisbane Cup, Gr.2, Moonee Valley Fillies Classic, Gr.2, GCTC AD Hollindale S., Gr.2, ATC Neville Sellwood S., Gr.3, MRC Ahern's at Highways After the Last H., 2d BRC Doomben Cup, Gr.1, MVRC Sunline S., Gr.2, MRC PB Lawrence S., Gr.2, GCTC AD Hollindale S., Gr.2, 3d MRC Caulfield Cup, Gr.1, Caulfield S., Gr.1, ATC Hill S., Gr.2. LAD OF THE MANOR (99g, Woodman, Royal Match). Top of The 2005-06 Australasian 4YO+ Classification (mile).13 wins from 1200m to 2000m, A$1,661,150, VRC LKS Mackinnon S., Gr.1, MVRC John F Feehan S., Gr.2-twice, Waterford Crystal Mile H., Gr.2, MRC JJ Liston S., Gr.2, MVRC Hotel Care Trophy H., Ballarat TC Gold Nugget H., MVRC Brent Thompson H., 2d VRC Emirates S., Gr.1, MRC CF Orr S., Gr.1, VRC Turnbull S., Gr.2, MRC St George S., Gr.2, TS Carlyon Cup, Gr.3, 3d VRC Australian Cup, Gr.1, STC George Ryder S., Gr.1, MRC CF Orr S., Gr.1, The Gleeson H., VRC Australian Lamb Company H.
GALLIC (99g, Nassipour, Imposing). 8 wins from 1400m to 3200m, A$1,374,550, AJC Sydney Cup, Gr.1, SAJC Adelaide Cup, Gr.2, MVRC Moonee Valley Gold Cup, Gr.2, Bendigo Cup, L-twice, VRC Blevic H., MRC Time & Tide H., 2d Bendigo JC Golden Mile H., MRC Barfleur H., 3d VRC Blamey S., Gr.2, MRC Autumn Classic, Gr.2, Moonee Valley Gold Cup, Gr.2, VRC Bagot H., L, MRC Victoria Gold Cup, L, Moduline P., Nuffield H.
DRESS CIRCLE (96g, Noble Bijou, Agricola). 7 wins from 1300m to 2400m, A$940,840, AJC Metropolitan H., Gr.1, STC Hill S., Gr.2, AJC Colin Stephen H., Gr.3, STC Kingston Town S., Gr.3, NSW Tatt's RC Tattersall's P., L, STC Elgas Eagle Award H., 2d STC Ranvet S., Gr.1, AJC Kurnell H., STC Members H., Canterbury Hurlstone Park RSL Club H., 3d AJC Metropolitan H., Gr.1, All Aged S., Gr.1, Chipping Norton S., Gr.1, STC Premier's Cup, L, LSW Group Gow's Heat Treatment H., 4th AJC Epsom H., Gr.1, All Aged S., Gr.1, Chipping Norton S., Gr.1. BEZEAL BAY (93g, Artaius, Busted). 10 wins from 1200m to 1600m, A$589,100, HK$1,430,000, VRC Emirates S., Gr.1, Yallambee Stud S., Gr.3, AJC Bill Ritchie H., Gr.3, Newcastle JC Newmarket H., Gr.3, AJC Matador Tow Bars Welter H., VRC Andersen Consulting P.H., STC Warringah Bowling Club H., 2d VATC CF Orr S., Gr.1, Hong Kong International Bowl, Gr.2, 3d VATC IGA S., Gr.3, NSW Tatt's RC Tramway H., Gr.3, 4th VATC Futurity S., Gr.1, Newcastle JC Cameron H., L.
OUR UNICORN (94g, Vice Regal, Causeur). 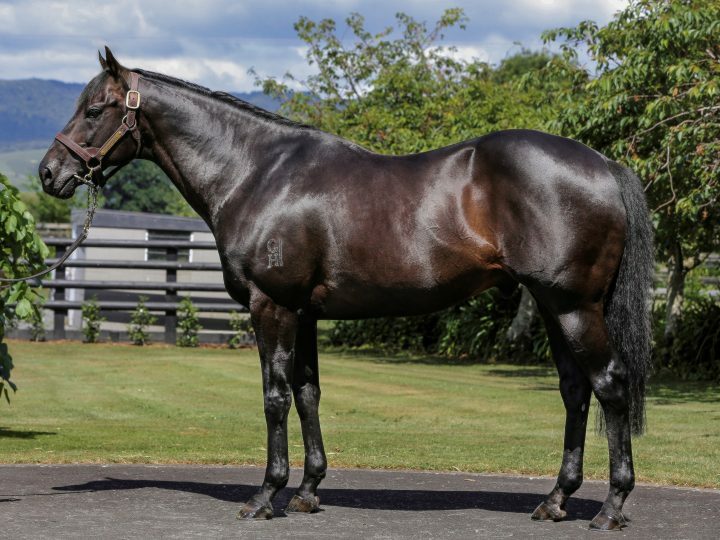 8 wins from 1300m to 3200m, NZ$248,275, A$283,005, Auckland Cup, Gr.1, STC NE Manion Cup, Gr.3, VATC Naturalism S., L, Jim Conway Welter H., Waikato RC Forest Lake Gardens H., VATC Captain Peri H., 2d VRC St Leger, Gr.3, VATC Orrong H., 3d VRC Craiglee S., Gr.2, Turnbull S., Gr.2, VATC St George S., Gr.2, Bay of Plenty Cup, 4th STC Mercedes Classic, Gr.1, South Australian Derby, Gr.1. DIZELLE (01f, Danehill, Semipalatinsk). 5 wins-1 at 2-from 1300m to 2400m, A$983,890, AJC Australian Oaks, Gr.1, MVRC Woodstock Mile Oaks, Gr.2, AJC Canterbury Cup, Gr.3, Rockdale 2YO H., 2d AJC Warwick S., Gr.2, 3d MRC Autumn Classic, Gr.2, STC Hill S., Gr.2, AJC Beech House H., 4th STC BMW S., Gr.1, AJC Metropolitan H., Gr.1, Chairman's H., Gr.2, VRC Saab H., Gr.3. SHOWER OF ROSES (99f, Gold and Ivory, Pieces of Eight). 5 wins from 1200m to 2000m, A$621,010, STC Arrowfield Stud S., Gr.1, AJC Craven P., Gr.3, STC Neville Sellwood S., L, Australian Ladies Variety Association H., Sponsor at the Races H., 2d AJC Australian Oaks, Gr.1, 3d AJC Hobartville S., Gr.2. DON EDUARDO (98c, Sticks and Stones, Pieces of Eight). 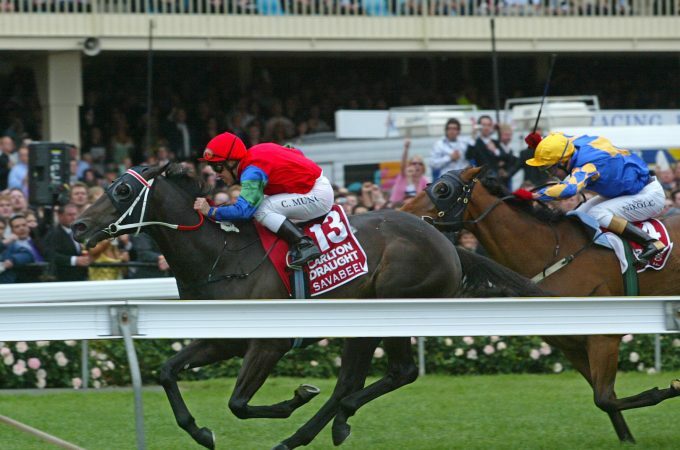 Top of the 2001-02 Australasian 3YO Classification (long).5 wins from 1300m to 2400m, A$1,685,110, Australian Derby, Gr.1, MRC Autumn Classic, Gr.2, Schweppes Cup, L, 2d STC Rosehill Guineas, Gr.1, 3d VRC Australian Cup, Gr.1, MRC Underwood S., Gr.1. JESSICABEEL (05f, Straight Strike, Glenstal). 5 wins from 1550m to 3200m, A$464,900, AJC Sydney Cup, Gr.1, Chairman's H., Gr.2, Munday H., STC De Bortoli Wines H., Woodstock Bourbon H., 3d AJC Aspiration H., L, STC Epona S., L.
HILL OF GRACE (96f, Last Tycoon, Baguette). 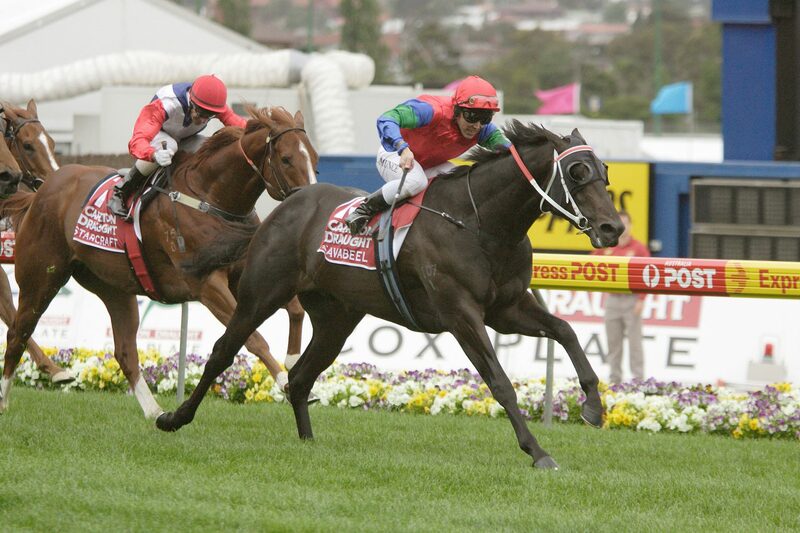 Champion Older Female Stayer in NZ in 2002-03.5 wins from 1600m to 2050m, NZ$180,125, A$1,446,430, S$157,500, STC Ansett Australia S., Gr.1, Moonee Valley Oaks, Gr.2, Whangarei Cup, 2d New Zealand Derby, Gr.1, VRC LKS Mackinnon S., Gr.1, STC Ranvet S., Gr.1, New Zealand Oaks, Gr.1, MRC Sandown Classic, Gr.2, 3d ARC The Oaks Stud Classic, Gr.1, Hawke's Bay Challenge S., Gr.3, ARC Silo Bar & Grill H., Counties RC Lion Red S., 4th VATC Caulfield Cup, Gr.1, BTC Doomben Cup, Gr.1, VATC Yalumba S., Gr.1, Underwood S., Gr.1, ARC Soliloquy S., L, Singapore Airlines International Cup, L.
UNEARTHLY (00f, Snippets, Crown Jester). 4 wins-1 at 2-from 1200m to 1600m, A$395,910, AJC Flight S., Gr.1, NSW Tatt's RC Chelmsford S., Gr.2, STC Cabe Group H., 2d STC Tea Rose S., Gr.2, 3d AJC King Brian 2YO H., 4th AJC Fernhill H., Gr.3, NSW Tatt's RC Furious S., Gr.3. GRAND ECHEZEAUX (96f, Vice Regal, Wilkes). 4 wins from 1200m to 2000m, A$540,700, SAJC Australasian Oaks, Gr.1, Auraria S., Gr.3, VRC Lady Mayoress' P.H., 2d VRC AV Kewney S., Gr.2, Moonee Valley Oaks, Gr.2, SAJC Widden Stud S., L, 3d VATC Carlton Draught H.
ABLE MASTER (95g, Red Tempo, Val du Fier). 3 wins from 1600m to 3200m, NZ$344,225, A$183,400, Auckland Cup, Gr.1, ARC New Zealand Derby Trial S., L, 2d AJC Metropolitan H., Gr.1, 3d AJC Frank Packer P., Gr.3, Rotorua Cup, Gr.3, STC AWA Club Keno H., 4th STC Rosehill Guineas, Gr.1, AJC Craven P., Gr.3. PROVOCATIVE (12f, O'Reilly, Masterclass). 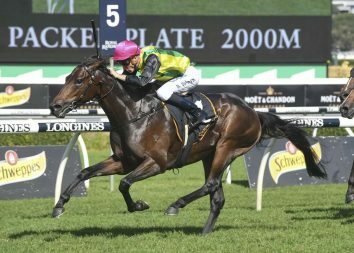 4 wins from 1400m to 2400m, NZ$19,400, A$332,800, BRC Queensland Oaks, Gr.1, Ipswich Cup Marquees H., ARC League 4 Life Foundation H.
HADES - HELENE VITALITY (H.K.) (96g, Vice Regal, Todman). Top of The 1999-2000 NZ 3YO Free H. (1700m+).4 wins from 1400m to 2400m, US$400,000, NZ$241,700, A$104,000, HK$9,451,212, New Zealand Derby, Gr.1, HKJC Pok Oi Cup, London H., 2d Nad al Sheba Dubai Sheema Classic, Gr.1, Avondale Guineas, Gr.2, Hong Kong Champions & Chater Cup, L, Hong Kong Gold Cup, L-twice, HKJC Central Avenue H., Waikato RC Trelawney Stud H., Matamata RC Fayette Park 3YO S., Cambridge JC Buzz Lightyear 3YO S., 3d VRC Australian Guineas, Gr.1, Hong Kong Derby, L, 4th VRC Turnbull S., Gr.2, Hong Kong Champions & Chater Cup, L.
ZABEELIONAIRE (08g, Carnegie, Darshaan). 3 wins from 1700m to 2500m, A$674,660, South Australian Derby, Gr.1, MRC Eastern Bridge P., 2d SAJC Port Adelaide Cup, L, MVRC Chandler Macleod H., Melbourne Signage Concepts H., Adapt Australia H., 3d VRC Andrew Ramsden S., L, Banjo Paterson Series Final H., Cleanevent H., 4th Victoria Derby, Gr.1, MVRC Bill Stutt S., Gr.2. ZABRASIVE (06g, Danehill, Persian Bold). 3 wins from 1350m to 2000m, A$445,950, STC Rosehill Guineas, Gr.1, 3d City Tatt's RC Inglis Bonus 3YO H., 4th Australian Derby, Gr.1, AJC Randwick Guineas, Gr.1. VOUVRAY (00f, Success Express, Pas Seul). 3 wins from 1600m to 2400m, NZ$15,750, A$786,150, Queensland Oaks, Gr.1, Matamata RC Stanley Construction Ltd H., 2d STC Ranvet Rawson S., Gr.1, Hill S., Gr.2, GCTC AD Hollindale S., Gr.2, 3d STC BMW S., Gr.1, VRC LKS Mackinnon S., Gr.1, SAJC Centaurea S., L, CJC Warstep S., L, 4th AJC Queen Elizabeth S., Gr.1, MRC Caulfield Cup, Gr.1. GONDOKORO (09f, Carnegie, Darshaan). 2 wins at 1600m, 2400m, A$440,710, BRC Queensland Oaks, Gr.1, MVRC Electrical Trades Union P., 2d BRC Doomben Roses, Gr.3, 3d Australian Oaks, Gr.1, 4th ATC Vinery Stud S., Gr.1. ZAGALIA (99f, Bluebird, Condorcet). 2 wins at 1550m, 2400m, A$585,250, Queensland Oaks, Gr.1, STC Guineas Restaurant H., 2d AJC Toy Show H., L, 3d VRC Craiglee S., Gr.2, Coffs Harbour Cup, 4th MVRC WS Cox P., Gr.1, MRC Underwood S., Gr.1, Naturalism S., L.
PRECEDENCE (05g, Shadeed, High Line). 10 wins from 1600m to 2600m, A$1,952,280, Moonee Valley Gold Cup, Gr.2-twice, VRC Queen Elizabeth S., Gr.3, MVRC JRA Cup, Gr.3, BRC Premier's Cup, Gr.3, STC NE Manion Cup, L, VRC PFD Food Services H., MRC Galilee Series Final H., MVRC Adapt Australia H., Tatts Group H., 2d MRC St George S., Gr.2, BRC Premier's Cup, Gr.3, VRC St Leger, L, ATC NE Manion Cup, L, MRC Fox FM Boulevard H., Benalla Toyota Gold Cup, MRC Malua H., 3d MRC Zipping Classic, Gr.2, Herbert Power S., Gr.2, GCTC AD Hollindale S., Gr.2, 4th VRC Australian Cup, Gr.1, MVRC Dato' Tan Chin Nam S., Gr.2, Drake International Cup, Gr.2. COALESCE (00g, Artaius, Busted). 10 wins from 1400m to 2200m, A$686,688, GCTC AD Hollindale S., Gr.2, AJC Bill Ritchie H., Gr.3, BTC Premier's Cup, Gr.3, STC Neville Sellwood S., L, Sky High S., L, QTC Heineken Welter H., STC Stowe Australia H., QTC Crosby Park Brethren H., Trackside Photography H., 2d VRC Queen Elizabeth S., Gr.3, Werribee Cup, L, QTC AAMI H., Paris Lane H., 3d Hawkesbury RC Rowley Mile. LEEBAZ (09g, Polish Precedent, Warning). 9 wins from 1300m to 2000m, A$1,098,775, GCTC AD Hollindale S., Gr.2-twice, MRC Easter Cup, Gr.3, Hawkesbury Gold Cup, Gr.3, ATC Ezymart H., Partnership with 4tracks4kids H., Pro-Ride H., 2d BRC Doomben Cup, Gr.1, ATC Japan Racing Association P., Gr.3, Doncaster Mile Prelude, Gr.3, Bartier Perry H., 3d ATC Doncaster Mile Prelude, Gr.3, MRC David Jones Cup, Gr.3, 4th VRC Emirates S., Gr.1. WINNING BELLE (00f, McGinty, Copenhagen II). 5 wins-2 at 2-from 1200m to 1900m, A$630,150, Queensland Guineas, Gr.2, STC Canterbury Cup, Gr.3, AJC TL Baillieu H., L, Breeders' Classic, L, 2d VRC Australian Cup, Gr.1, AJC Fernhill H., Gr.3, 3d AJC Chipping Norton S., Gr.1, Queensland Oaks, Gr.1, VRC Saab H., Gr.2, 4th Queensland Derby, Gr.1, BTC Rough Habit P., L, Cranbourne Cup, L.
OCEAN EMPEROR (11c, Pins, O'Reilly). 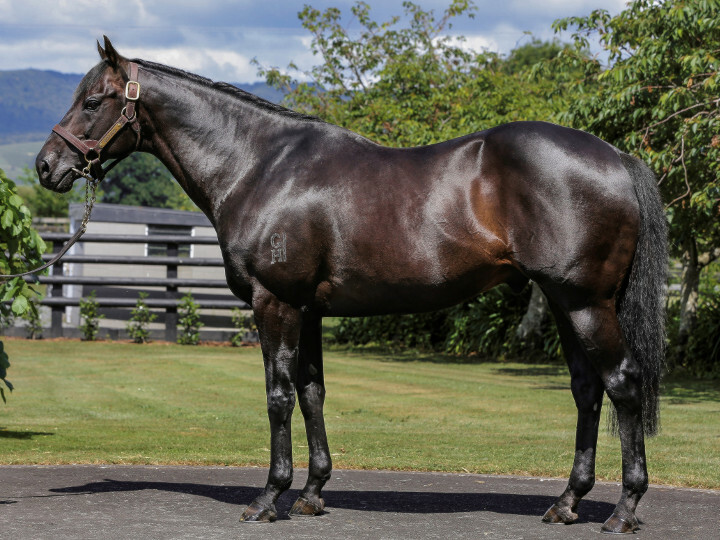 9 wins from 1200m to 1600m to 2018-19, NZ$278,625, BOP RC Tauranga S., Gr.2-twice, Japan-New Zealand International Trophy, Gr.2, Feilding JC Redcraze Bowl, Rotorua RC Mills Reef Winery H., 2d Hawke's Bay Breeders Association Mile, 3d Taranaki RC ITM PSP H., BOP RC Gilmours S., Counties RC Collett Racing Stables H., BOP RC Gartshore Retail Fit Outs H., 4th WRC Captain Cook S., Gr.1. TREMEC (08g, Stravinsky, Three Legs). 8 wins from 1900m to 3500m, A$672,520, ATC Chairman's H., Gr.2-twice, Randwick City S., L, Canterbury Park H., Like Us on Facebook H., Valhalla Village H., 2d ATC Chairman's H., Gr.2, MRC Grand National Hurdle, Ballarat TC JJ Houlahan Hurdle, ATC Schweppes H., 3d ATC NE Manion Cup, Gr.3, Oakbank RC Somerled Hurdle, VRC JB Cummings AM Tribute H., 4th Wyong Gold Cup, L.
SIX O'CLOCK NEWS (04g, Harbor Prince, Alvaro). 8 wins from 1600m to 2400m, NZ$567,000, A$5,250, ARC City Of Auckland Cup, Gr.2, Wellington Cup, Gr.2, WRC Trentham S., Gr.3, ARC Lindauer Cuvee Riche H., Matamata RC Meyer Spreaders H., Otaki Maori RC St Leger Trial, 2d ARC Championship S., Gr.2, Wellington Cup, Gr.2, Counties Cup, Gr.2, Hawkes Bay Glen Aros Country Estate H., BOP RC Wilson Plumbing, Heating & Gas H., Waikato RC Vero Insurance H., BOP RC Community Hospice H., 3d Auckland Cup, Gr.1, ARC Great Northern Guineas, Gr.2, Hills Pet Nutrition Cup Prelude, Waikato RC Skycity Hamilton Casino Cup, 4th Waikato Gold Cup, Gr.2, WRC Trentham S., Gr.3. PRAVDA (95f, Bold Venture, Showoff II). 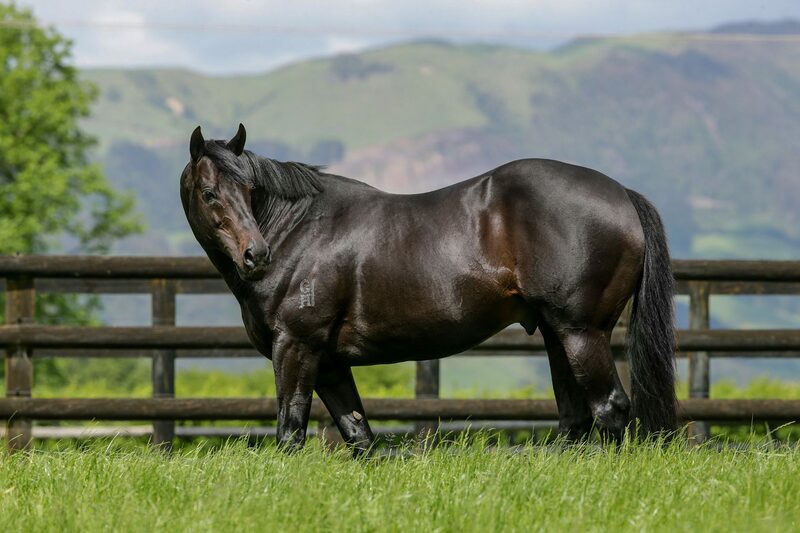 8 wins from 1400m to 2400m, NZ$124,850, A$453,385, Taranaki Cup, Gr.2, AJC Chairman's H., Gr.3, STC NE Manion Cup, Gr.3, ARC More FM H., Matamata RC Comag H., 2d New Zealand Oaks, Gr.1, STC Hill S., Gr.2, AJC Queen's Cup, Gr.3, Waikato RC Times Print H., Avondale JC Flair H., 4th ARC Queen Elizabeth H., Gr.2, STC Kingston Town S., Gr.3. ORACY (05c, Dehere, Success Express). 7 wins from 1450m to 1800m, R1,285,000, Turffontein Gauteng Guineas, Gr.2, Dingaans H., Gr.2, London News S., Gr.3, Racing Association Pinnacle S., Racing Association Allowance P.
ZURELLA (08f, Volksraad, Last Tycoon). 5 wins from 1400m to 2000m, NZ$268,625, A$166,500, VRC Let's Elope S., Gr.2, Waikato RC Sir Tristram Fillies Classic, Gr.2, Manawatu RC Eulogy S., Gr.3, Waikato RC Hauraki 96.2 FM H., 2d New Zealand Oaks, Gr.1, Waikato RC Cal Isuzu S., Gr.2, WRC Cuddle S., Gr.3, 3d Waikato Draught Sprint, Gr.1, 4th Waikato RC Herbie Dyke S., Gr.1, WRC Thorndon Mile, Gr.1, Manawatu RC Awapuni Gold Cup, Gr.2. PERUZZI (92f, Sticks and Stones, Pieces of Eight). 7 wins to 1400m, A$225,750, AJC Light Fingers S., Gr.2, NSW Tatt's RC Tramway H., Gr.3, QTC Bribie H., L, M Ryan H., Battle Heights H., 2d AJC Surround S., Gr.2, STC Canterbury S., Gr.2, Premiere S., Gr.3, 4th STC Shannon H., Gr.3. ZARZUELA (06f, Volksraad, Kaapstad). 4 wins from 1600m to 2100m, NZ$290,875, ARC Great Northern Guineas, Gr.2, Championship S, Gr.2, Waikato Guineas, Gr.3, 2d ARC Great Northern Guineas Prelude, L, 3d New Zealand Oaks, Gr.1, 4th New Zealand Derby, Gr.1. RESPECT (98g, Star Way, Amalgam). 8 wins from 1400m to 3200m, NZ$7,375, A$509,980, WATC Perth Cup, Gr.2, AJC Australia Day Cup, L, Clibborn H., Queensland Cup, AJC Kapyong Valley Memorial Welter H., 2d City Tattersall's Club Cup, L, AJC Continuous Call Team Peter Pan H., Sydney City Lexus H., 3d Newcastle Gold Cup, Gr.3, AJC Dubbo H.
CRIMSON (94f, Mellay, Bourbon Prince). 5 wins from 1400m to 2100m, NZ$162,200, ARC Championship S., Gr.2, Waikato Guineas, Gr.3, Waikato RC Hamilton Veterinary Services H., ARC Ancare Star Belle Classic, 2d Waikato RC Sir Tristram Fillies Classic, Gr.2, Avondale Guineas, Gr.2, Waikato RC Hunter Country H.
His sire sons include Savabeel (89), Reset (33), Octagonal (25), Colombia (11), Don Eduardo (11), Zed (10), Greys Inn (6), Seul Amour, I Conquer, Sufficient, Moon Rocket, Eighth Wonder, Portland Pirate, St Reims, Oracy, Bryannbo's Gift, Speed 'n' Power, etc. 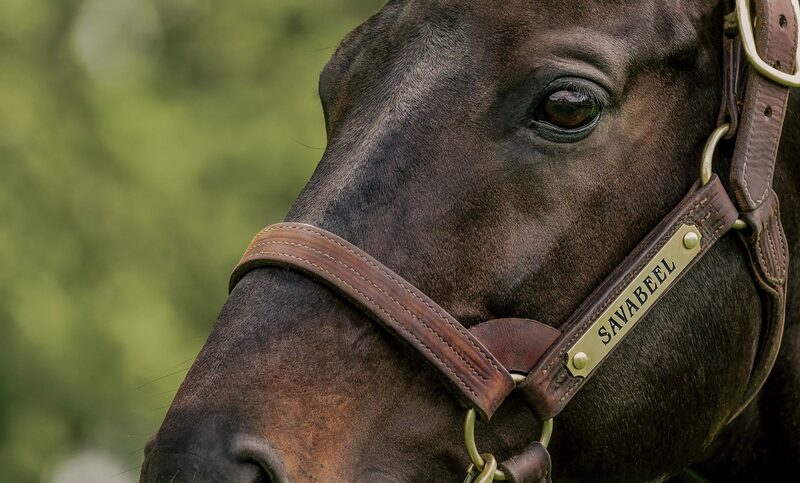 SAVABEEL 3 wins-1 at 2-from 1000m to 2050m, A$2,760,460, MVRC WS Cox P., Gr.1, AJC Spring Champion S., Gr.1, Sydney City Lexus 2YO H., 2d Victoria Derby, Gr.1, MRC CF Orr S., Gr.1, STC Gloaming S., Gr.2, 3d AJC Champagne S., Gr.1, 4th AJC San Domenico S., Gr.2. He entered stud in 2005. 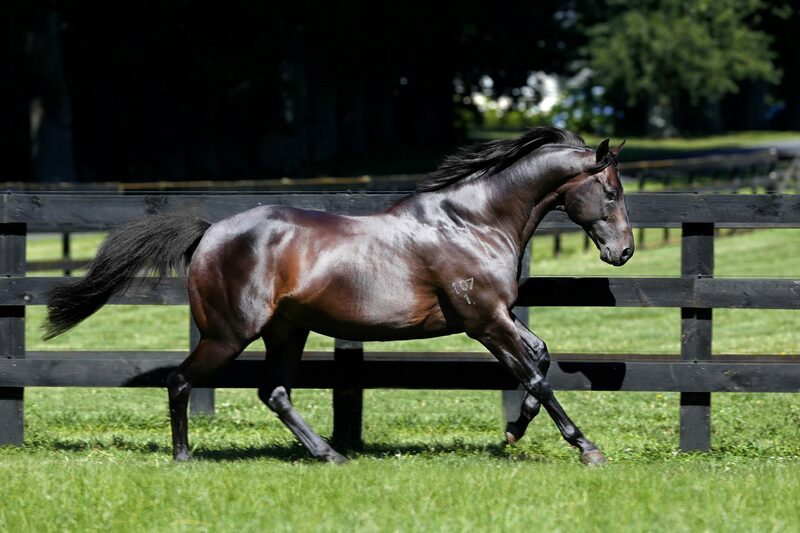 Champion NZ Sire in 2014-15, 2015-16, 2016-17, 2017-18, second in 2012-13, third in 2013-14. Leading NZ Sire (Aust.&NZ figures combined) in 2015-16, 2016-17, 2017-18. 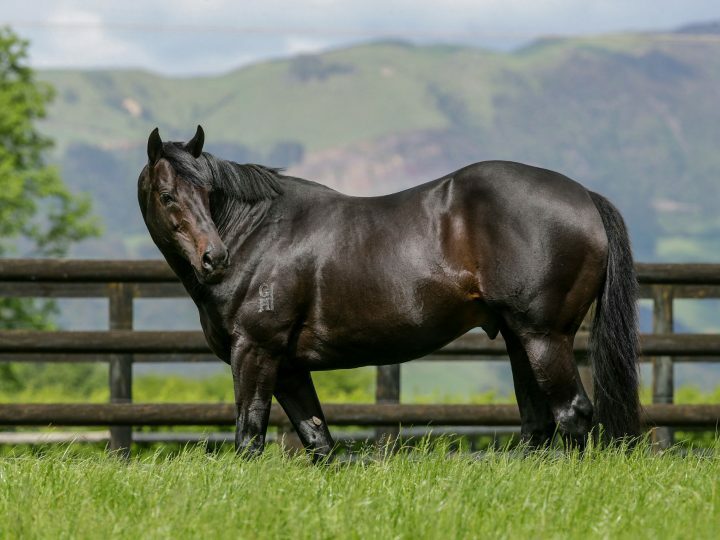 Leading NZ Sire (worldwide) in 2015-16, 2016-17, 2017-18. Leading NZ Sire of 3YOs in 2017-18. 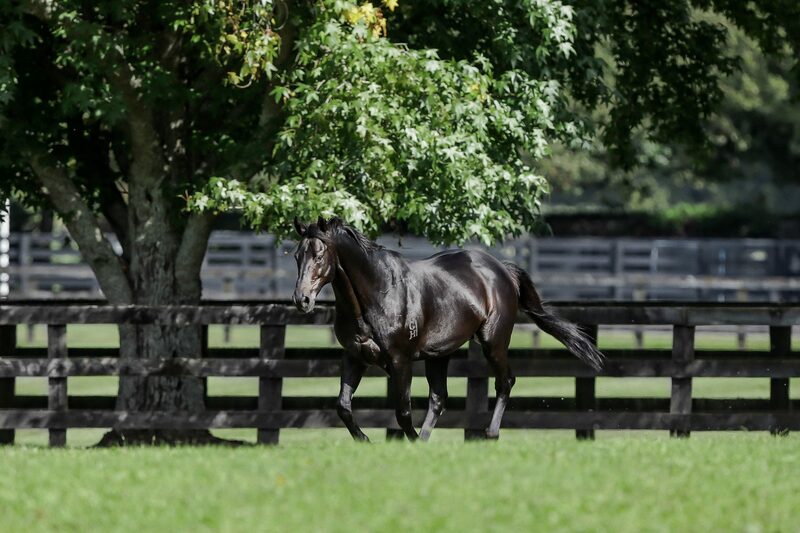 Leading NZ Sire by Winners 2016-17, 2017-18. Sire of 829 progeny to race, 581 winners (70.0%), earnings of over $82 million, 89 stakes winners, 59 stakes placegetters, inc.
KAWI (10g, Volksraad, Last Tycoon). Champion Sprinter/Miler in NZ in 2017-18. 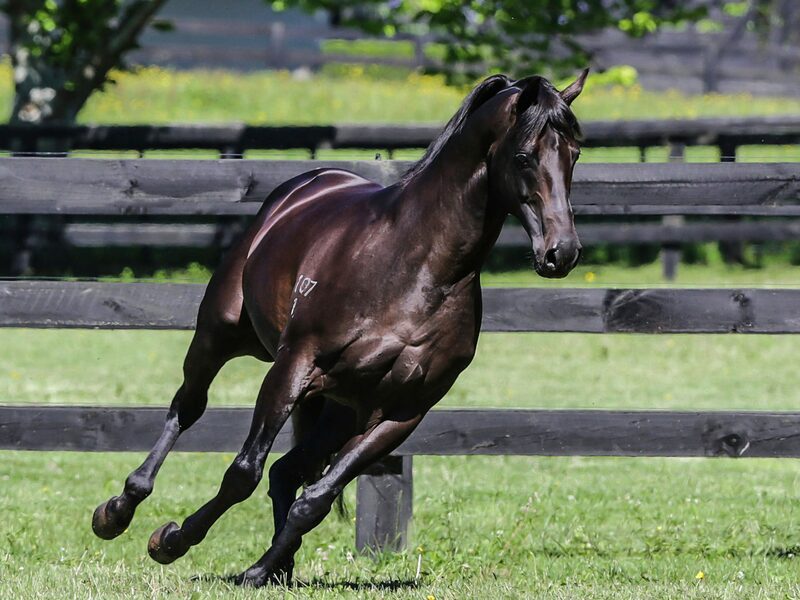 Champion Middle Distance Horse in NZ in 2016-17.15 wins from 1200m to 2000m to 2017-18, NZ$1,289,850, A$62,500, ARC Zabeel Classic, Gr.1, Hawkes Bay Makfi Challenge S., Gr.1-twice, Windsor Park P., Gr.1, WRC Thorndon Mile, Gr.1, Captain Cook S., Gr.1, Otaki Maori RC WFA S., Gr.1, Manawatu Challenge S., Gr.2, Taranaki Cup, Gr.3, WRC Anniversary H., L, Feilding JC Redcraze Bowl, Manawatu RC Hong Kong Jockey Club Trophy, WRC Rydges Wellington H., Mills Reef Winery H., Curraghmore S., 2d WRC Telegraph H., Gr.1, BOP RC Japan-New Zealand International Trophy, Gr.2, Tauranga S., Gr.2, WRC Phil Cataldo Bloodstock H., Manawatu RC Rich Hill Stud 3YO S., 3d ARC Easter H., Gr.1, Waikato RC Herbie Dyke S., Gr.1, Hawkes Bay Windsor Park P., Gr.1, Waikato RC Foxbridge P., Gr.2, BOP RC Tauranga S., Gr.2, 4th WATC Kingston Town Classic, Gr.1, Hawkes Bay Tarzino Trophy, Gr.1, WATC Lee Steere S., Gr.2. LUCIA VALENTINA (10f, Montjeu, Star Way). 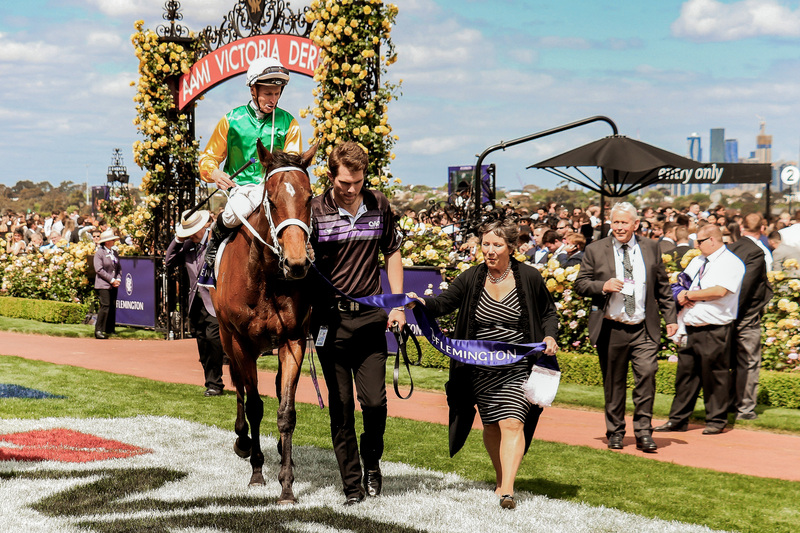 Top Filly of 2013-14 Australasian 3YO Classification (Int.). Joint Top Filly on The 2013-14 NZ 3YO Free H (1600m+).7 wins from 1200m to 2000m, NZ$64,500, A$4,170,950, HK$825,000, ATC Queen Elizabeth S., Gr.1, VRC Turnbull S., Gr.1, ATC Vinery Stud S., Gr.1, VRC Matriarch S., Gr.2, ATC Tramway S., Gr.2, Levin RC Wellington S., Gr.3, 2d ARC Royal S., Gr.2, 3d MRC Caulfield Cup, Gr.1, ATC Ranvet S., Gr.1, Australian Oaks, Gr.1, MRC Underwood S., Gr.1, ATC Surround S., Gr.2, 4th ATC Coolmore Classic, Gr.1, George Main S., Gr.1, Apollo S., Gr.2, Warwick S., Gr.2. SANGSTER (08g, Spectrum, Affirmed). Champion Stayer in NZ in 2012-13.6 wins-1 at 2-from 1200m to 3200m, NZ$490,000, A$1,276,050, Victoria Derby, Gr.1, Auckland Cup, Gr.1, Waikato RC International S., Gr.1, ARC Avondale Gold Cup, Gr.2, ATC Free Entry Today H., 2d MVRC JRA Cup, Gr.3, MRC Norman Robinson S., Gr.3, NSW Tatt's RC Ming Dynasty H., L, WRC Anniversary H., L, 3d ATC BMW S., Gr.1, Spring Champion S., Gr.1, MVRC Alister Clark S., Gr.2. SORIANO (09f, Just a Dancer, Brazen Bay). 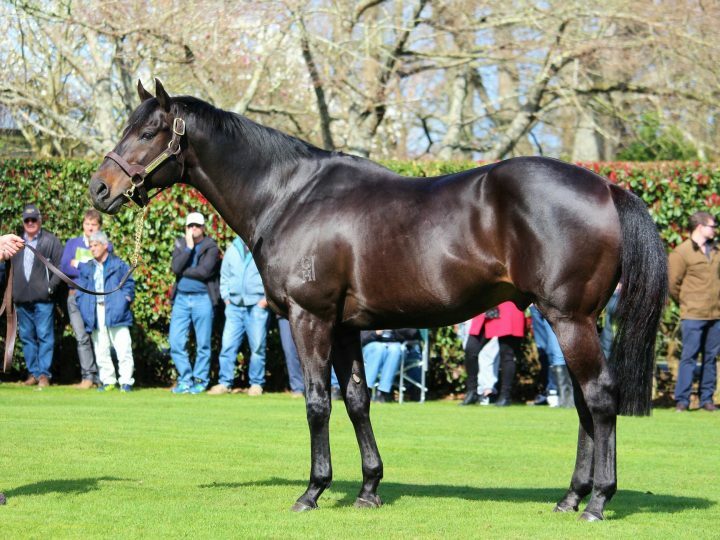 Champion Middle Distance Horse in NZ in 2014-15.9 wins-1 at 2-from 1200m to 2000m, NZ$913,312, ARC Zabeel Classic, Gr.1, Waikato RC Herbie Dyke S., Gr.1, Avondale JC Auckland Thoroughbred Breeders S., Gr.2, Manawatu RC Awapuni Gold Cup, Gr.2, BOP RC Tauranga S., Gr.2, Manawatu RC Eulogy S., Gr.3, Rotorua Challenge P., L, Taranaki RC Ekraar&Echoes of Heaven H., 2d WRC Thorndon Mile, Gr.1, ARC Eight Carat Classic, Gr.2, Waikato RC Sir Tristram Fillies Classic, Gr.2, ARC Sofitel Luxury Hotels S., Gr.3, WRC Desert Gold S., Gr.3, 3d Hawkes Bay Spring Classic, Gr.1, ARC Zabeel Classic, Gr.1, Hawkes Bay Windsor Park P., Gr.1, WRC Captain Cook S., Gr.1, Levin Classic, Gr.1, ARC Royal S., Gr.2, Waikato RC Cal Isuzu S., Gr.2, ARC Sofitel Luxury Hotels S., Gr.3-twice, Rotorua Cup, Gr.3, Rotorua Challenge P., L, Hawkes Bay Swiss Ace Sprint H., 4th Hawkes Bay Spring Classic, Gr.1, ARC New Zealand S., Gr.1, Diamond S., Gr.1, Zabeel Classic, Gr.1, Wellington Guineas, Gr.2, Cambridge JC Travis S., Gr.2. SCARLETT LADY (07f, (Mr) Ironclad, Val Dansant). 8 wins from 1400m to 2400m, NZ$260,375, A$428,600, ARC New Zealand S., Gr.1, Queensland Oaks, Gr.1, Cambridge JC Travis S., Gr.2, BRC Doomben Roses, Gr.3, Manawatu Breeders' S., L, Wairarapa Thoroughbred Breeders' S., L, ARC Stella Artois H., BOP RC Bayleys Residential 3YO H., 4th ARC Royal S., Gr.2. SAVVY COUP (14f, Pins, O'Reilly). Champion 3YO in NZ in 2017-18. Top filly on the 2017-18 NZ 3YO Free H. (1601+m).6 wins from 1400m to 2400m to 2018-19, NZ$649,000, A$125,125, New Zealand Oaks, Gr.1, Hawkes Bay Livamol Classic, Gr.1, Lowland S., Gr.3, Manawatu RC Eulogy S., Gr.3, CJC NZB Ready to Run Sale S., 2d Hawkes Bay Windsor Park P., Gr.1, WRC Love Affair With Ted 3YO S., 3d WRC Levin Classic, Gr.1, ARC Karaka Million 3YO Classic, RL, CJC Inglewood Stud Guineas Trial. SHILLELAGH (11f, Flying Spur, Dauphin Fabuleux). 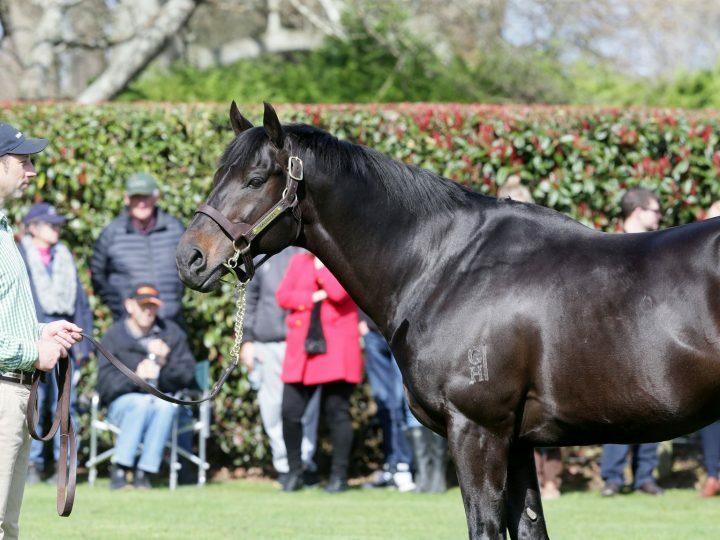 8 wins from 1200m to 1600m to 2018-19, NZ$53,180, A$1,803,325, VRC Cantala S., Gr.1, Empire Rose S., Gr.1, Hawkesbury RC Godolphin Crown, Gr.3, MRC Ladbrokes Up for the Challenge H., Manawatu RC NZ Travel Brokers H., Whangarei RC Ford Kuga H., Wanganui JC Loaders Landscape Supplies H., 2d VRC Australian Cup, Gr.1, Qld Tatt's RC Tattersalls Tiara, Gr.1, VRC Hong Kong Jockey Club S., Gr.3, ARC Otakiri Reserve H., 3d MRC Tristarc S., Gr.2, 4th ATC Epsom H., Gr.1, MRC Toorak H., Gr.1, ATC Guy Walter S., Gr.2, Theo Marks S., Gr.2, BRC Glenlogan Park S., Gr.3, MRC Summoned S., Gr.3. COSTUME (09f, O'Reilly, Irish River). 6 wins from 1400m to 2050m, NZ$385,925, Hawkes Bay Spring Classic, Gr.1, Waikato RC Herbie Dyke S., Gr.1, WRC Clubs New Zealand H., BOP RC Mediterranean Shipping H., 2d WRC Thorndon Mile, Gr.1, 3d ARC Auckland Co-Op Taxis H., Waikato RC Ready to Run Sale H., 4th Te Aroha JC New Zealand Thoroughbred Breeders' S., Gr.1, Waikato RC Cal Isuzu S., Gr.2. DIADEME (08f, O'Reilly, Centaine). 7 wins at 1400m, 1600m, NZ$390,235, A$32,000, Te Aroha JC New Zealand Thoroughbred Breeders' S., Gr.1, Waikato RC Cal Isuzu S., Gr.2, ARC Westbury Classic, Gr.3-twice, BOP RC Pace Project Management H., 2d Waikato RC Cal Isuzu S., Gr.2, Manawatu Challenge S., Gr.3, 3d Waikato Sprint, Gr.1, Te Aroha JC New Zealand Thoroughbred Breeders' S., Gr.1, ARC Rich Hill Mile, Gr.2, BRC Glenlogan Park S., Gr.3, 4th Waikato Sprint, Gr.1, ARC Rich Hill Mile, Gr.2-twice, BRC Strawberry Road H., L, Waikato RC Sprint H., L.
BRAMBLES (08g, Pins, Centaine). 6 wins from 1600m to 2400m, A$870,258, BRC Queensland Derby, Gr.1, Grand Prix S., Gr.3, Rough Habit P., Gr.3, VRC Spring is the Season H., MRC Le Pine Funerals H., 2d VRC Turnbull S., Gr.1, MRC Heatherlie H., L, ATC Aristocrat Technologies H., MVRC NYE at Moonee Valley Premium H., 3d BRC Gunsynd Classic, Gr.3, 4th MRC Caulfield Cup, Gr.1, ATC Carbine Club S., Gr.3, MRC Anniversary Vase, L.
SWORD OF OSMAN (15g, Distant View, The Minstrel). Head of the 2017-18 NZ 2YO Free H.5 wins-3 at 2-to 1400m to 2018-19, NZ$290,400, ARC Diamond S., Gr.1, Waikato RC James&Annie Sarten Memorial S., Gr.2, Matamata RC Slipper S., Gr.3, ARC Auckland Co-Op Taxis H., Manawatu RC NZ Bakels 2YO H., 2d ARC Mongolian Khan Trophy, Gr.3. NICOLETTA (13f, Doneraile Court, Turkoman). 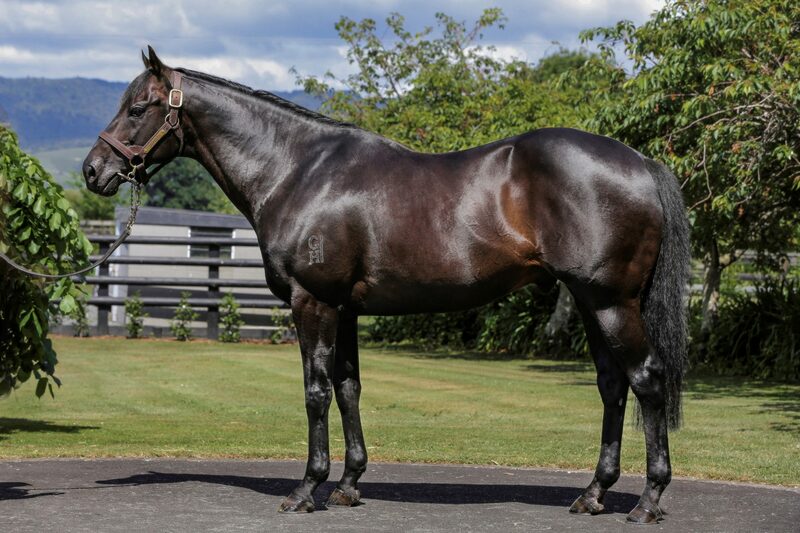 5 wins from 1400m to 1600m to 2018-19, NZ$384,350, Te Aroha JC New Zealand Thoroughbred Breeders S., Gr.1, WRC Desert Gold S., Gr.3, Egmont RC Taranaki Breeders S., Gr.3, Waikato RC X-Site Group H., 2d Waikato RC Sir Tristram Fillies Classic, Gr.2, BOP RC Tauranga S., Gr.2, 3d Waikato RC Herbie Dyke S., Gr.1, Te Aroha JC New Zealand Thoroughbred Breeders S., Gr.1, Cambridge JC Travis S., Gr.2, Counties RC Ssangyong H., 4th New Zealand Oaks, Gr.1, Counties RC Auckland Thoroughbred Breeders S., Gr.2, Hawkes Bay Lowland S., Gr.3, Matamata RC Kaimai S., L.
SAVARIA (11f, O'Reilly, Red Glow). 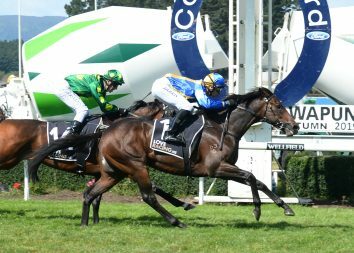 Top Filly on The 2014-15 NZ 3YO Free H (1600m+).5 wins from 1400m to 3200m, NZ$423,575, A$10,000, New Zealand Oaks, Gr.1, Hawkes Bay Lowland S., Gr.3, Wellington Cup, Gr.3, Manawatu RC Standard Summer Cup, 2d Hawkes Bay AON Insurance Brokers H., Taranaki RC Platinum Homes Oaks Prelude, 3d Hawke's Bay Gold Cup, L, Hawkes Bay Westbury Club Mile H., WRC Dukedom Cup, Queensland Winter Racing S.
PASADENA GIRL (12f, Redoute's Choice, Green Desert). 3 wins at 2, A$585,350, ATC Champagne S., Gr.1, VRC Thoroughbred Breeders S., Gr.3, Talindert S., L, 2d MVRC Atlantic Jewel S., L, 3d MRC Angus Armanasco S., Gr.2, 4th ATC Sires' Produce S., Gr.1, VRC Oaks, Gr.1, MRC Thousand Guineas, Gr.1, MVRC Dilmah Vase, Gr.2. HALL OF FAME - DANCES WITH DRAGON (H.K.) (13g, Galileo, Catbird). 7 wins-1 at 2-from 1200m to 1800m to 2018-19, NZ$236,450, A$2,000, HK$2,103,050, Levin Classic, Gr.1, CJC Canterbury S., L, North Canterbury RC Inglewood Stud Guineas Trial, ARC Conveyancing Shop Lawyers H., HKJC Sea Eagle H., Sun Wui H., 2d Hawkes Bay El Roca Sprint H., 3d HKJC Chek Keng H., Korea RA Trophy H.
HASAHALO (14f, Encosta de Lago, Danehill). 2 wins-1 at 2-at 1200m, 1600m to 2017-18, NZ$426,000, New Zealand One Thousand Guineas, Gr.1, ARC Eclipse S., Gr.3, 2d WRC Wakefield Challenge S., Gr.2, ARC Karaka Million, RL. SOUND PROPOSITION (11g, Ebony Grosve, Vice Regal). 6 wins at 1600m, 1800m, NZ$205,250, A$166,450, ARC Easter S., Gr.1, ATC Racing to Win H., Heritage Volunteers H., ARC Hallmark Stud Mile H., Celebrating Rangipo H., 2d Newcastle JC Cameron H., Gr.3, ARC Crombie Lockwood H., 3d ARC New Zealand S., Gr.1, Stella Artois H., 4th MVRC Schweppes Crystal Mile, Gr.2. EMBELLISH (14c, O'Reilly, Centaine). Equal Head of the 2017-18 NZ 3YO Free H.3 wins from 1200m to 1600m in 2017-18, NZ$476,185, A$23,000, New Zealand Two Thousand Guineas, Gr.1, WRC Hiremaster H., 2d ARC Karaka Million 3YO Classic, RL, BOP RC Chesters Plumbing H.
(I AM) COLDPLAY (12f, O'Reilly, Western Symphony). 6 wins at 1400m, 1600m to 2017-18, NZ$267,200, A$3,450, ARC Rich Hill Mile, Gr.2, Waikato RC Cal Isuzu S., Gr.2, ARC Eagle Technology S., Gr.3, Manawatu RC Eulogy S., Gr.3, ARC Auckland Co-Op Taxis H., 3d ARC Westbury Classic, Gr.2, Counties RC Auckland Thoroughbred Breeders S., Gr.2, 4th ARC Eight Carat Classic, Gr.2, Waikato RC Sir Tristram Fillies Classic, Gr.2. LADY KIPLING (07f, Al Akbar, Zephyr Bay). 11 wins-1 at 2-from 1200m to 1600m, NZ$442,925, Waikato RC Cal Isuzu S., Gr.2, Counties RC Auckland Thoroughbred Breeders' S., Gr.2, ARC Eagle Technology S., Gr.3, Fuji Zerox H., Counties RC Campbell Tyson Cooper White H., BOP RC Hardware&Plumbing Centennial H., Feilding JC Courtesy Ford Redcraze Bowl H., Hawkes Bay Bruce Perry Bloodstock H., Traderacks H., Waikato RC Riv Cafe&Bar H., 2d WRC Captain Cook S., Gr.1, Thorndon Mile, Gr.1, Otaki Maori RC WFA S., Gr.1, Avondale JC La-Z-Boy Chair 2YO H., 3d Levin Classic, Gr.1, Counties RC Auckland Thoroughbred Breeders' S., Gr.2, Waikato RC Mark Walker Champion Trainer 2YO H., 4th ARC Zabeel Classic, Gr.1-twice, Te Aroha JC New Zealand Thoroughbred Breeders' S., Gr.1, BOP RC Tauranga S., Gr.3. FLORIA (07f, Centaine, Oregon). 5 wins from 1300m to 2400m, NZ$109,650, A$522,700, BRC Brisbane Cup, Gr.2, MRC Summoned S., Gr.3, WRC Cuddle S., Gr.3, 2d ATC Emancipation S., Gr.2, BRC Dane Ripper S., Gr.2, SAJC Queen of the South S., Gr.2, VRC Frances Tressady S., Gr.3, Egmont RC Taranaki Breeders S., Gr.3, Waikato RC Mastercraftsman at Windsor Park H., Te Aroha JC CRV Ambreed NZ H., 3d Qld Tatt's RC Tattersall's Tiara, Gr.1, BRC Eagle Farm Cup, Gr.2, Waikato RC Cal Isuzu S., Gr.2, Cambridge JC Travis S., Gr.2, ARC Eagle Technology S., Gr.3, MRC Weekend Hussler S., L, 4th Waikato RC Cal Isuzu S., Gr.2, ARC Westbury Classic, L, Scone Cup, L.
SPLURGE (12g, O'Reilly, Carolingian). 8 wins from 1200m to 1600m to 2017-18, NZ$234,300, Manawatu Challenge S., Gr.2, ARC Darley P., Gr.3, Cambridge JC AON Insurance Brokers H., ARC Shaws Wire Ropes H., Ophthalmic Instruments H., 2d ARC Eagle Technology S., Gr.3, WRC New World Stokes Valley H., 3d BOP RC Quickcount H., Chesters Plumbing and Bathroom H.
CHINTZ (09f, O'Reilly, Imposing). 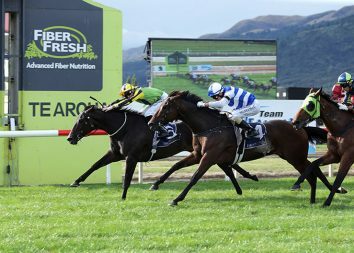 6 wins at 1400m, 1600m, NZ$228,685, A$3,000, ARC Rich Hill Mile, Gr.2, Westbury Classic, Gr.3, Staples Rodway H., Waikato RC Newstalk ZB 97FM H., 2d ARC Easter H., Gr.1, BOP RC Japan-New Zealand International Trophy, Gr.2, ARC New Zealand Herald H., 3d Te Aroha JC New Zealand Thoroughbred Breeders' S., Gr.1, Pyramid Trucking H., 4th Waikato RC Shaw's Wire Ropes Sprint H., L.
SAVVY NATURE (10g, Carnegie, Danehill). 5 wins-1 at 2-from 1400m to 2050m, A$499,650, HK$3,156,775, MVRC Mitchelton Wines Vase, Gr.2, Newcastle JC Spring S., Gr.3, HKJC Indian Challenge Cup, Kings Falcon H., 2d ATC Gloaming S., Gr.3, Australian Turf Club 2YO H., 3d ATC Spring Champion S., Gr.1, Hobartville S., Gr.2, HKJC Long Ke H., ATC Rosehill Gardens H., HKJC Merlion H., Orchid H., 4th Australian Derby, Gr.1, ATC Rosehill Guineas, Gr.1, HKJC Queen Mother Memorial Cup, L.
SAAVOYA (11f, Prized, Vice Regal). 4 wins from 1400m to 2000m, NZ$187,475, ARC Royal S., Gr.2, Eight Carat Classic, Gr.2, Pukekohe Veterinary Centre H., 2d Waikato RC Sir Tristram Fillies Classic, Gr.2, ARC Sunline Vase, Gr.3, 3d BOP RC Crockford Real Estate H., Te Aroha JC Piako Rural Services 2YO H.
QUEEN OF DIAMONDS (15f, Danehill, Sir Tristram). Joint NZ Bloodstock Filly of the Year in 2018-19.3 wins from 1400m to 2100m in 2018-19, NZ$169,175, Hawkes Bay Lowland S., Gr.2, Manawatu RC Eulogy S., Gr.3, 3d ARC Eight Carat Classic, Gr.2, Waikato RC Sir Tristram Fillies Classic, Gr.2, 4th ARC Karaka Million 3YO Classic, RL. MY EMOTION (06f, Rory's Jester, Danehill). 3 wins-1 at 2-at 1200m, 1600m, A$288,100, Moonee Valley Fillies Classic, Gr.2, VRC Thoroughbred Breeders S., Gr.3, MVRC Agar Cleaning P., 2d MRC Arborea H., 4th MRC Kevin Hayes S., L.
RATTAN (13g, Last Tycoon, Spectacular Love). 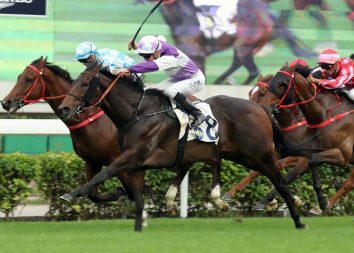 7 wins from 1200m to 1600m to 2018-19, HK$11,891,800, HKJC Sprint Cup, Gr.2, Panasonic Cup, Vengeance of Rain H., Garden Road H., Tak Wah H., Front Load Washing Machine H., BMW Centenary H., 2d HKJC Kwangtung Cup, Maurice H., Albert H., Bullish Luck H., Pitt H., Daisy H., 3d HKJC Chinese Club Challenge Cup, Gr.3, 4th HKJC Queen's Silver Jubilee Cup, Gr.1. TULLAMORE (06g, Flying Spur, Dauphin Fabuleux). 5 wins from 1600m to 2400m, NZ$7,500, A$626,900, BRC Brisbane Cup, Gr.2, ATC Jirsch Sutherland H., Scone RC Patinack Farm H., 2d MVRC Drake International Cup, Gr.2, ATC Winter Cup, L, Free Entry Today H., Theraces.com.au H., 3d MRC Caulfield Cup, Gr.1, ATC Hill S., Gr.2, WRC Paino&Robinson H., 4th ATC WJ McKell Cup, L.
SAVAPINSKI (13f, Pins, Star Way). 4 wins from 1200m to 2000m to 2017-18, A$298,305, VRC Matriarch S., Gr.2, 2d MVRC Tesio S., Gr.3, 3d ATC Nathan's Famous Hotdogs H., 4th SAJC Queen of the South S., Gr.2, ATC Angst S., Gr.3, ATC Cup, L.
GOLD FEVER (14f, Oratorio, Luskin Star). 3 wins at 2, NZ$113,275, Matamata Breeders' S., Gr.2, Waikato RC Race a Horse With Te Akau 2YO S., 3d ARC Diamond S., Gr.1, Eclipse S., Gr.3, Manawatu RC Mills Reef Winery 2YO S.
DO RA MI (07f, Snippets, Sound Reason). 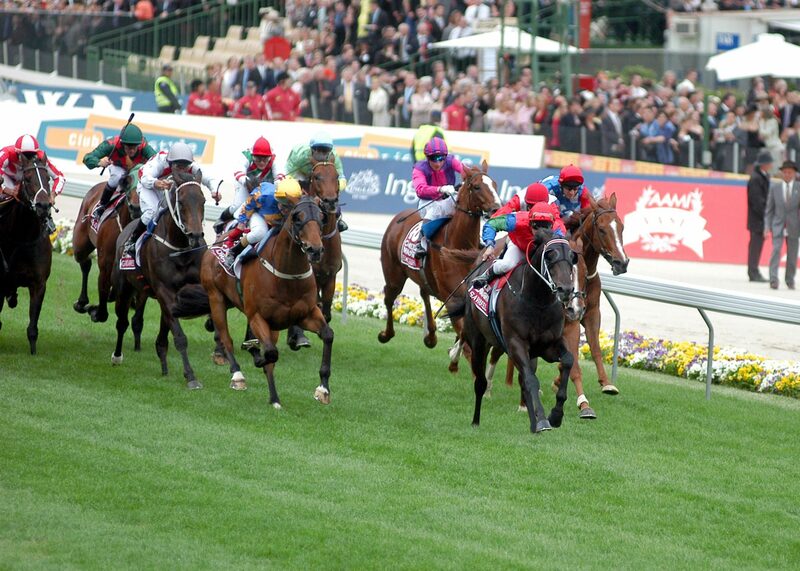 3 wins to 1400m, A$387,503, VRC AV Kewney S., Gr.2, MRC Race-Tech H., 2d VRC Vanity S., Gr.3. NURSE KITCHEN (13f, Montjeu, Vice Regal). 2 wins-1 at 2-at 1300m, 1600m, A$246,800, Moonee Valley Fillies Classic, Gr.2, 2d ATC Vinery Stud S., Gr.1. AOTEA LAD (16g, Volksraad, Entrepreneur). 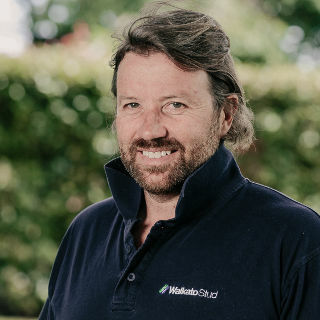 Winner at 2 in 2018-19, NZ$262,150, WRC Wakefield Challenge S., Gr.2, 2d ARC Eclipse S., Gr.3, Matamata RC Slipper S., Gr.3, ARC Karaka 2YO Million, RL. PUMP UP THE VOLUME (08g, Racing is Fun, Vice Regal). 8 wins from 1600m to 3200m, NZ$407,585, CJC New Zealand Cup, Gr.3, Rotorua Cup, Gr.3, Feilding Gold Cup, L, Manawatu RC Nelson Pine H., ARC Coca-Cola H., WRC Allfinanz Chalmers Two Mile H., Waikato RC Jorja's 9th Birthday H., 2d Rotorua Cup, Gr.3, Taumarunui Cup, L-twice, ARC Westbury Karaka Stayers Cup Day H., Waikato RC Pencarrow Stud H., BOP RC Kiwifruit Cup, Egmont RC Egmont Cup, ARC Thomsons Foodservices H., Counties RC Auckland Thoroughbred Owners Association H., 3d ARC Cornwall H., Waikato RC Team Wealleans H., BOP RC Kiwifruit Cup-twice, Stratford Cup, Waikato RC Topsoil&Sand Supplies H., 4th Rotorua Cup, Gr.3, Taumarunui Gold Cup, L.
THE CHOSEN ONE (15c, Flying Spur, O'Reilly). 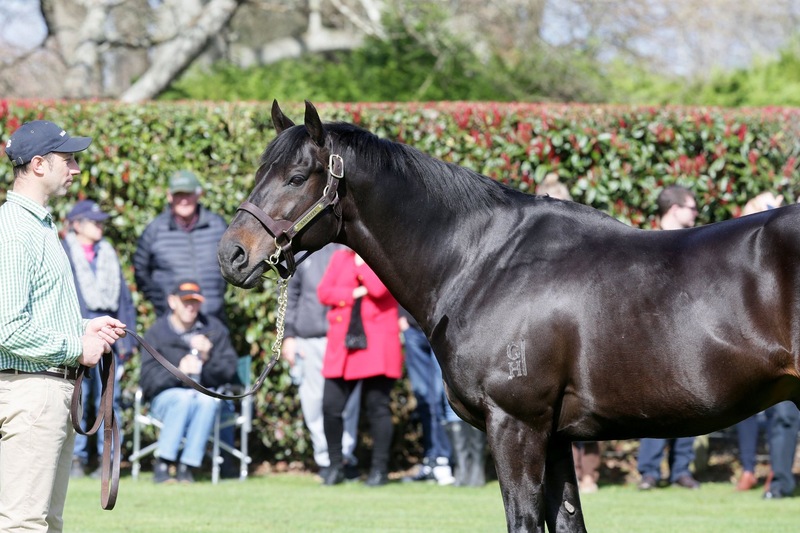 4 wins from 1400m to 2000m in 2018-19, NZ$112,500, A$174,500, ATC Frank Packer P., Gr.3, Manawatu Classic, Gr.3, CJC Zacinto S., L, 2d Counties RC Splice Construction 3YO S., ARC Auckland Co-Op Taxis H., 4th ATC Australian Derby, Gr.1, Waikato Guineas, Gr.2. MABEEL (10g, Cape Cross, Topsider). 6 wins from 1000m to 1600m, NZ$167,610, A$23,000, WRC Anniversary H., Gr.3, Manawatu RC Flying H., L, ARC Stella Artois H., Barfoot&Thompson H., Waikato RC Munns the Mans Store H., 2d VRC Antler Luggage H., ARC Curraghmore Stud H., Woodpecker Hill H., 4th WRC Thorndon Mile, Gr.1. LINCOLN BLUE (13c, Pins, Centaine). 3 wins from 1200m to 2100m, NZ$107,350, Levin RC Wellington S., Gr.3, ARC 3YO Salver, L, 2d WRC Luna Rossa Cup, NZTBA Wellington Guineas Trial, 3d Waikato Guineas, Gr.2, 4th Levin Classic, Gr.1. ECLAIR BIG BANG - ALMABABY (H.K.) (10g, Singspiel, Top Ville). 9 wins-1 at 2-to 1400m to 2018-19, A$277,750, HK$6,117,750, MRC Caulfield Guineas Prelude, Gr.3, VRC Emirates Airline H., SAJC Boag's Draught H., Ken Youels Memorial H., HKJC Chai Wan Kok H., Egret H., Brazil H., Suffolk H., 2d HKJC Penfold Park H., High Island H., Yau Oi H., Luger H., Cafeteria H., Journalists Challenge Cup, 3d VRC Danehill S., Gr.2, MRC Italktravel S., L, 4th SAJC Sportingbet S., Gr.2, Redelva S., L.
KAISER FRANZ (10g, Just a Dancer, Brazen Bay). 7 wins from 1400m to 2200m, A$286,250, BRC Premier's Cup, Gr.3, Sky Racing H., Hogs Breath Cafe H., SCTC IGA H., 2d BRC Redcliffe Rabbits Racing H., 3d BRC Ubet Stradbroke Day H., Austral Bricks H., Canadian Club H., Body Smart Exercise Physiology H., Ipswich TC Enjoy Sirromet Nye P., Channel 7 H.
SURPASS (08g, Bakharoff, Nelcius). 7 wins from 2000m to 2400m, NZ$163,700, A$179,880, Waikato Gold Cup, Gr.3, ATC Randwick City Mayor's Cup, MRC Slickpix H., MRC (Mornington) There's No Better Bet Than a Sportingbet H., Taumarunui RC Joe Bradley H., 2d ARC City of Auckland Cup, Gr.3, MRC (Mornington) RM Ansett Classic, L, BOP RC Gartshore Construction H., 3d Matamata RC Kaimai S., L, ATC National Jockeys Trust H., WRC It's a Dundeel H., 4th TRC Hobart Cup, Gr.3, TTC Launceston Cup, Gr.3, MRC Harry White Classic, L.
LOVE AFFAIR (13f, O'Reilly, Centaine). 6 wins from 1200m to 1600m to 2018-19, NZ$162,750, ARC Eagle Technology S., Gr.3, Cambridge JC AON Insurance Brokers H., Waikato RC Seafood Bazaar H., Counties RC Fasttrack Insurance H., 2d Waikato RC Cal Isuzu S., Gr.2, Hawkes Bay Spring Sprint H., Gr.3, 4th Waikato RC Cal Isuzu S., Gr.2. ROYAL SUCCESS (12g, Deputy Governor, Bluebird). 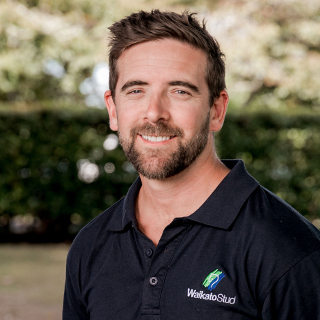 6 wins at 1400m, 1600m to 2017-18, NZ$123,185, Waikato RC J Swap Contractors Sprint H., Gr.3, WRC Wallaceville Estate H., Waikato RC Norris Ward McKinnon H., Rotorua RC ISCL H., 2d BOP RC Chesters Plumbing and Bathroom H., WRC Williment Sports Travel H.
ADORABEEL (09f, Saumarez, Riverman). 6 wins from 1200m to 1800m, A$285,810, ATC Aspiration H., Gr.3, Tab.com.au H., 2d ATC Sydney Spring Carnival on Sale H., Schweppes H., 3d ATC Ranvet H., Jockey Celebration Day H.
MY SABEEL (07f, Entrepreneur, Palace Music). 6 wins to 1300m, A$378,765, ATC Toy Show H., Gr.3, Tab.com.au H., Bowermans.com.au H., Theraces.com.au H.-twice, 2d ATC Sheraco S., Gr.3, Hungry Jack's H., Bowermans Office Furniture H., Schweppes H., McCain Sweet Potato Fries H., Bacardi Bar H., Cara Brett Hall H., Flinders Lane Perfect Fit Shirt H., 3d ATC Golden Pendant, Gr.3, Triscay S., Gr.3, Fairfield RSL Club H., Pro-Ride H., Grand Pavilion H., 4th ATC Wenona Girl H., Gr.3. FROMELLES (06f, Felix the Cat, Western Symphony). 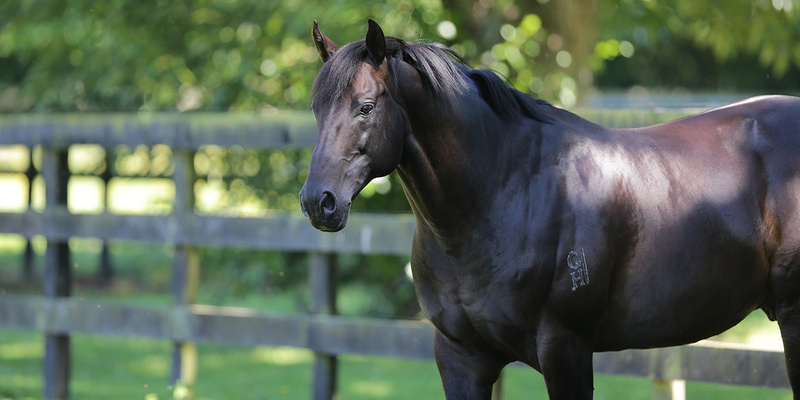 6 wins from 1350m to 2200m, NZ$131,525, A$11,600, Rotorua Cup, Gr.3, WRC Trentham Cup, ML Carter Birthday H., Matamata RC Tonezone H., Wanganui JC Dave Hoskin Carriers H., 2d Waikato RC Greene Racing at Te Rapa H., CJC Nztba.co.nz H., BOP RC Amphora on the Strand H., 3d ATC Bacardi World's No. 1 Rum H., ARC Auckland Co-Op Taxis H., CJC Parklands Tavern H., Marton JC Pioneeer Pilet Contracting H., 4th Hawke's Bay Gold Cup, Gr.3. CONCERT HALL (14f, Carnegie, Sound Reason). 5 wins at 1400m, 1600m to 2018-19, NZ$93,000, WRC Cuddle S., Gr.3, Matamata RC Rich Hill Stud H., BOP RC Laser Plumbing H., 2d Waikato RC Legends Day - February 9th H.
SUPERA (14f, Van Nistelrooy, Rhythm). 5 wins from 1200m to 1600m to 2018-19, NZ$120,125, WRC Anniversary S., Gr.3, Te Aroha JC NZB Insurance Pearl Series H., 2d Te Aroha JC New Zealand Thoroughbred Breeders S., Gr.1, 3d Waikato RC Cal Isuzu S., Gr.2. (MR) CLARIFY (12g, Pauillac, Centaine). 5 wins from 2000m to 2200m to 2017-18, NZ$180,975, A$58,600, Manawatu Cup, Gr.3, ARC Dunstan Feeds Championship Final, Dunstan Stayers Qualifier H., Waikato RC Goldsmith's Gallery H., 2d MVRC Ladbrokes Cash Out H., BOP RC Bay of Plenty Cup, WRC Hanley Formula H., Waikato RC Goldsmith's Gallery H., 3d VRC Pin&Win H., Hawkes Bay Bay Ford NZ H., Waikato RC Diamond Lodge Draft H.
SAMOVARE (13f, More Than Ready, Bluebird). 3 wins at 1200m, 1600m to 2017-18, A$467,350, WATC Champion Fillies S., Gr.3, MVRC Ladbrokes Odds Boost H., WATC Belmont Bonanza H., 2d MVRC Sunline S., Gr.2, VRC Schweppervescence Trophy, Gr.3, MRC Naturalism S., Gr.3, Coongy H., Gr.3, Mannerism S., Gr.3, WATC Hosemasters P., VRC Trevor Clarke H., Mark Young H., 3d MVRC WH Stocks S., Gr.2, WATC Burgess Queen S., L.
PRINCE JABEEL (13g, Danehill, Affirmed). 3 wins at 1800m, 2400m in 2018-19, NZ$187,050, ARC City of Auckland Cup, Gr.3, Coverstaff H., 2d Matamata Veterinary Services H., 3d Wellington Cup, Gr.3, ARC Simply Squeezed H., Waikato RC Pathways Immigration H., Counties RC Mount Shop H.
DUCHESS KATE (12f, Prized, Vice Regal). 3 wins from 1300m to 1600m, WRC Desert Gold S., Gr.3, ARC New Zealand Herald H., 4th ARC Sunline Vase, Gr.3. STRIKE THE STARS (08g, Last Tycoon, Centaine). 3 wins from 1400m to 3200m to 2017-18, A$612,300, ATC Gloaming S., Gr.3, City Tattersalls Club H., 2d VRC Australian Guineas, Gr.1, ATC Bates Bikes 2YO H., Club Liverpool H., 3d NSW Tatt's RC Chelmsford S., Gr.2, VRC Tab.com.au S., Gr.3, ATC Lord Mayor's Cup, L, VRC Momentum Energy Trophy H., 4th Australian Derby, Gr.1, South Australian Derby, Gr.1. ADDICTIVE NATURE (14c, Carnegie, Danehill). 2 wins-1 at 2-at 1100m, 1400m to 2017-18, A$197,525, ATC Ming Dynasty H., Gr.3, Pluck at Vinery H., 2d MRC Village S., L, ATC Walking2help.com.au H., 3d ATC Stan Fox S., Gr.2, Expressway S., Gr.2. SPIRIT BIRD (12f, Rock of Gibraltar, Seeking the Gold). 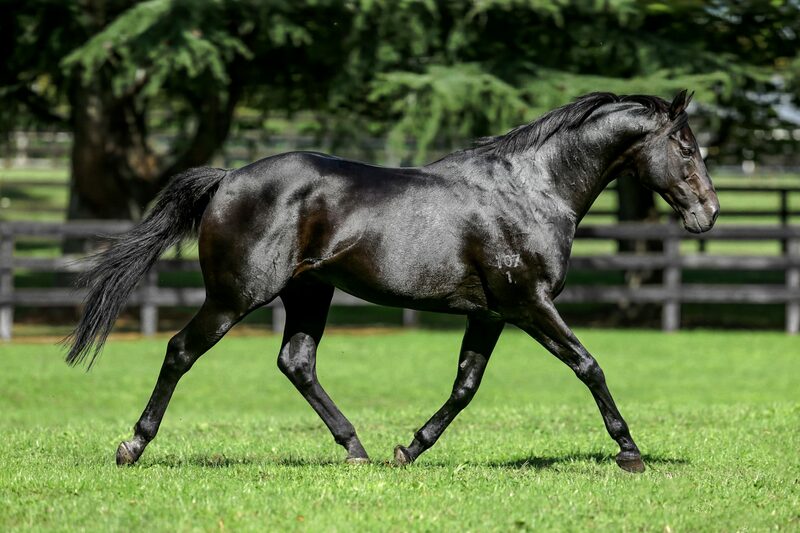 2 wins at 1300m, 1350m, A$280,900, Newcastle JC Tibbie S., Gr.3, 2d Western Australian Guineas, Gr.2, WATC Challenge S., L, Del Basso Nursery P., Westspeed 2YO P., Amelia Park Beef H., Westspeed H., 3d WATC Westspeed 2YO P., 4th WATC Champion Fillies S., Gr.3, Burgess Queen S., L, Ascot One Thousand Guineas, L.
Meet Waikato Stud's star studded stallion roster.